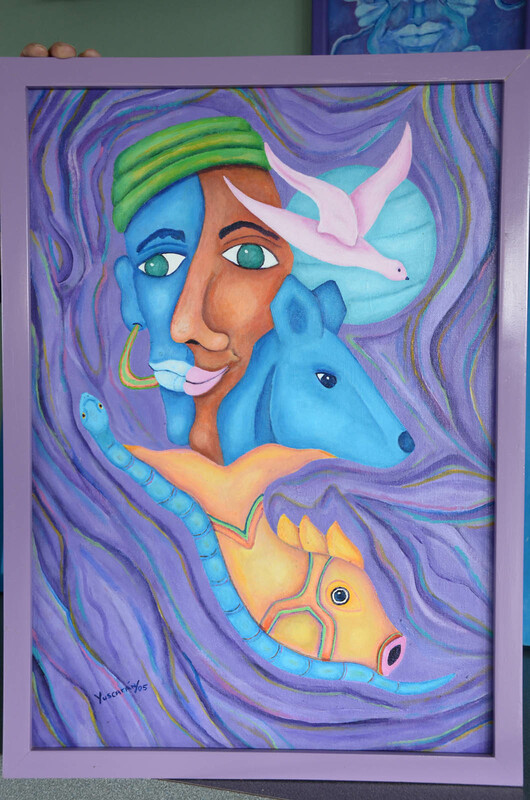 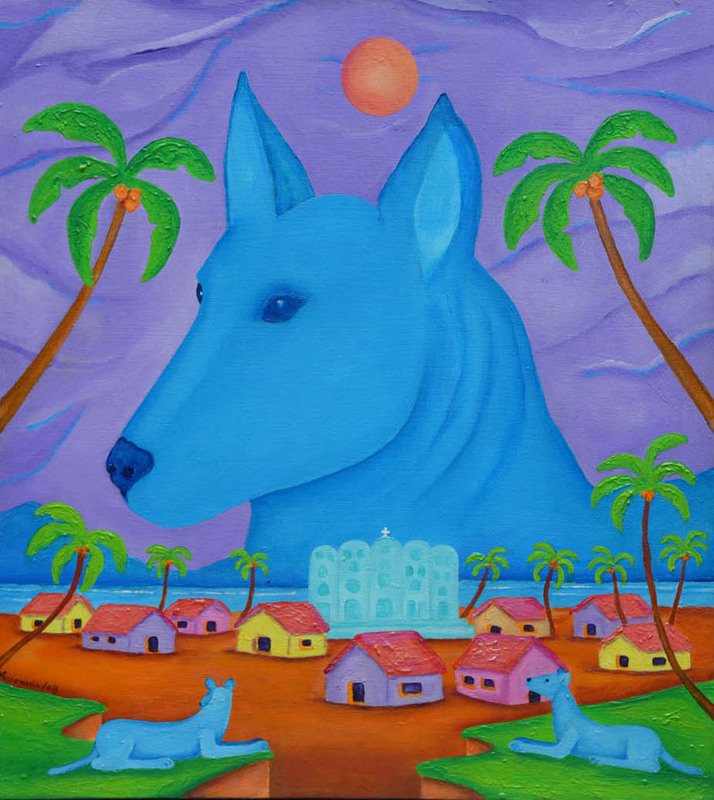 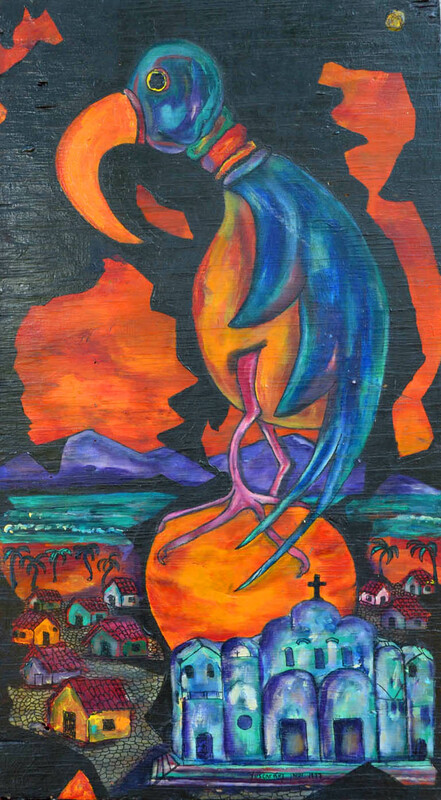 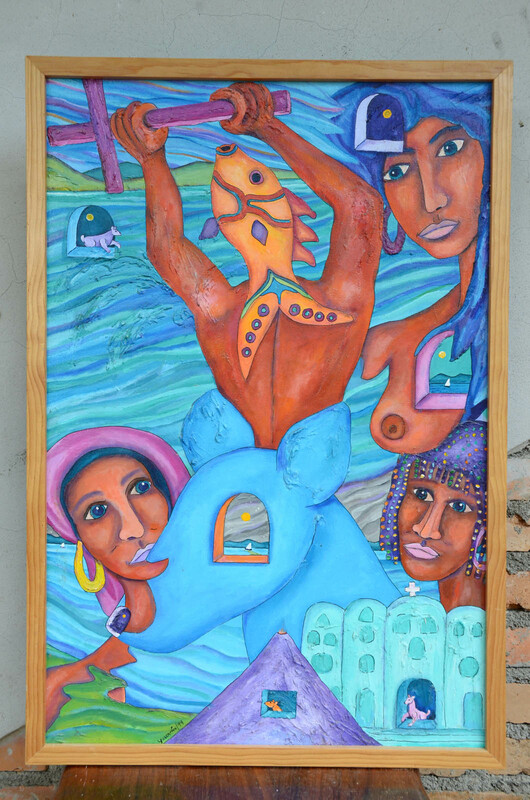 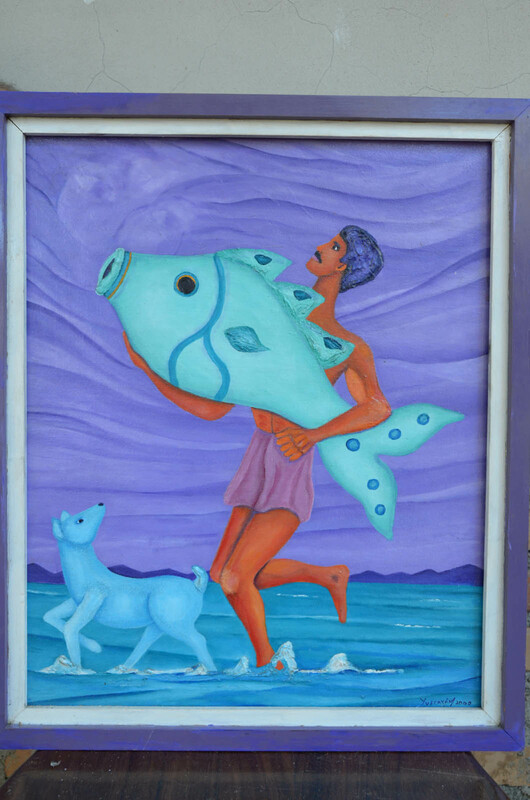 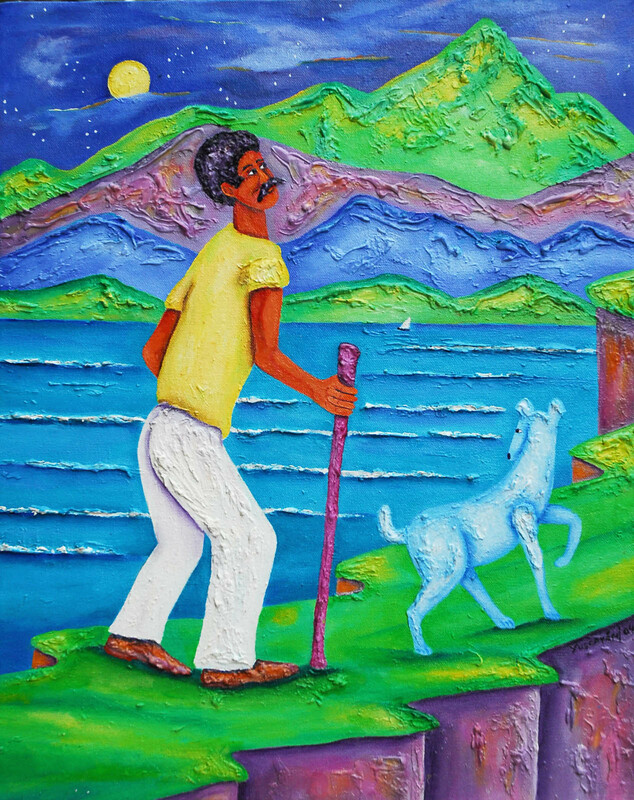 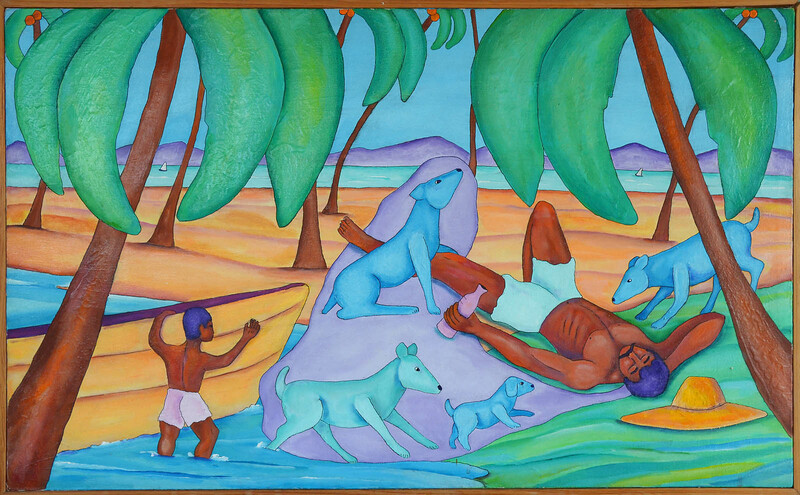 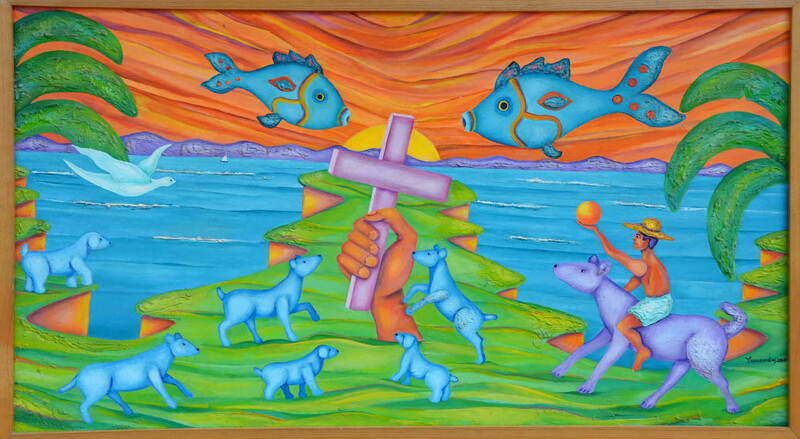 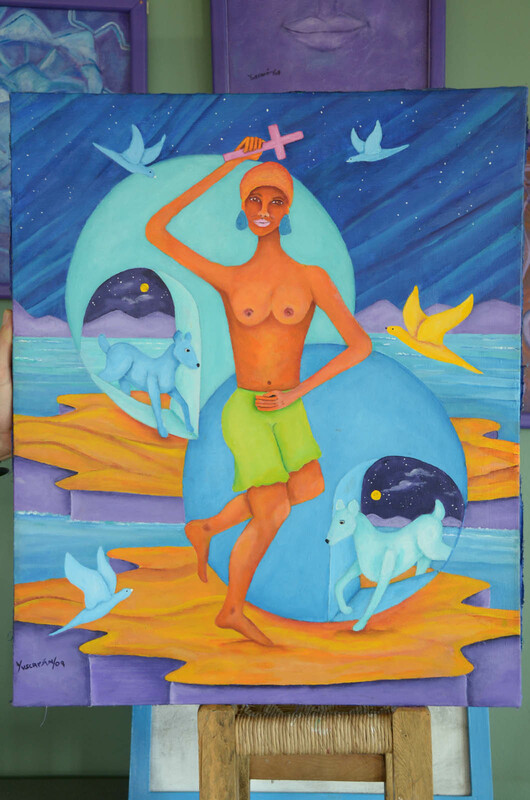 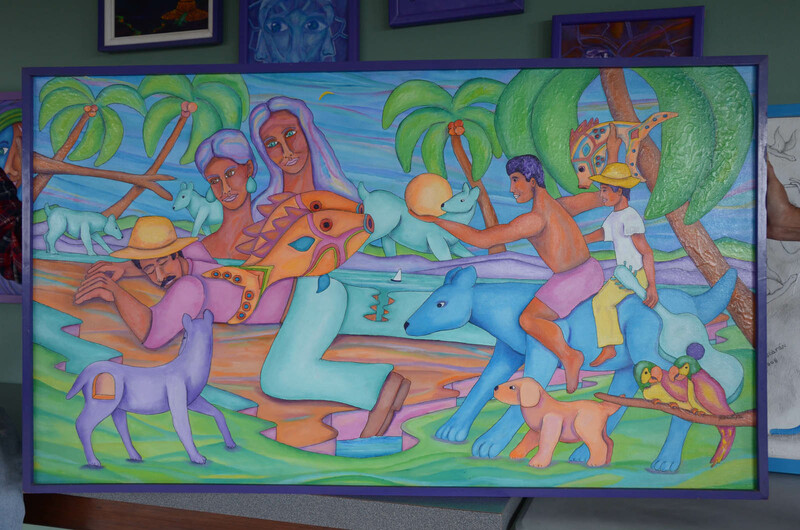 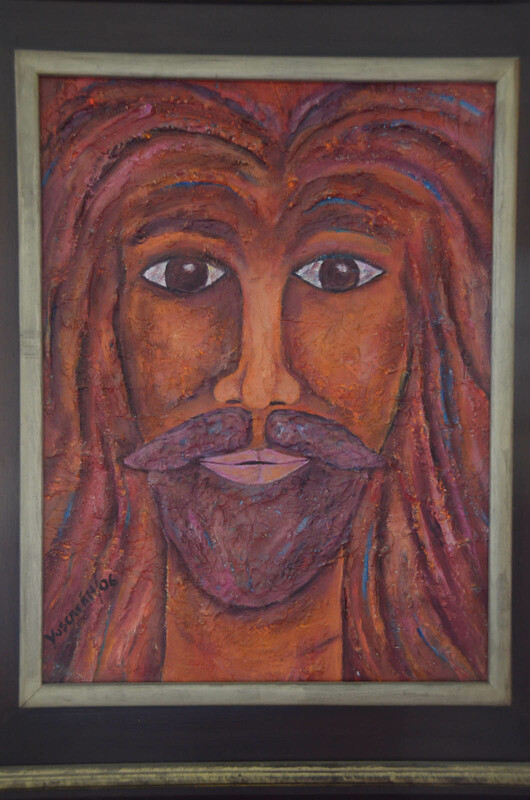 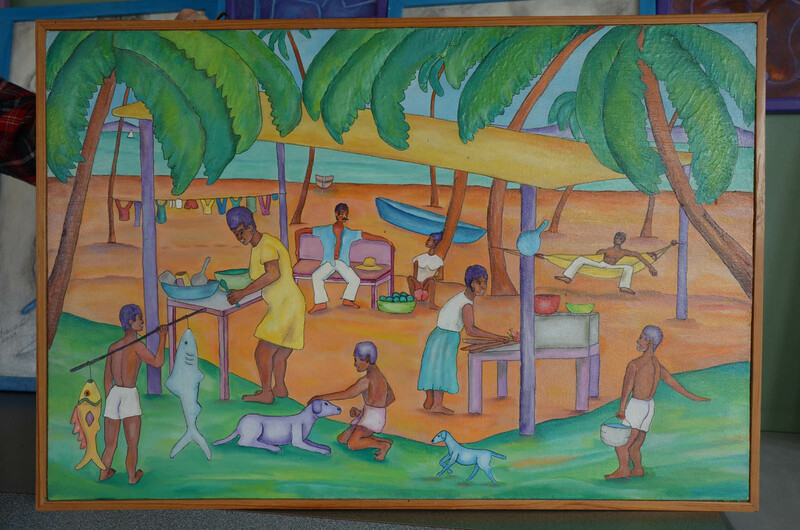 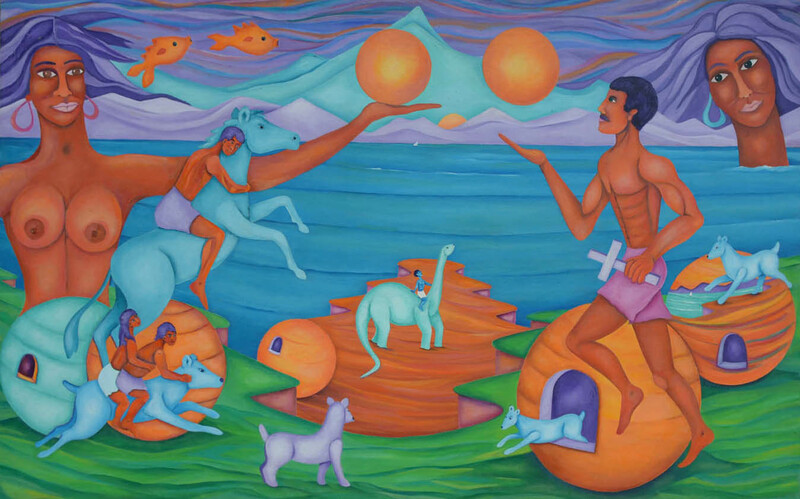 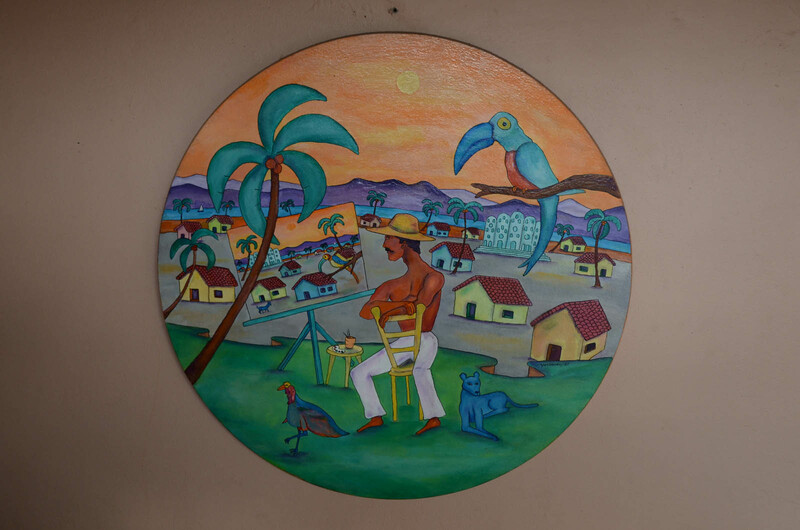 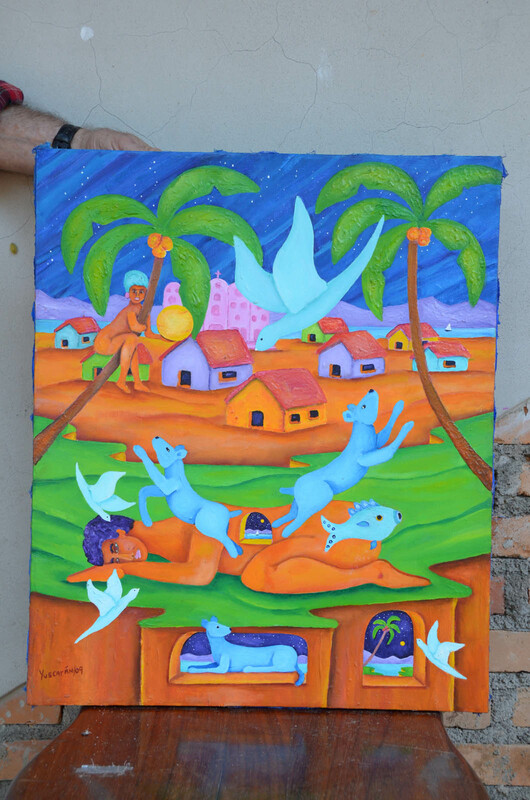 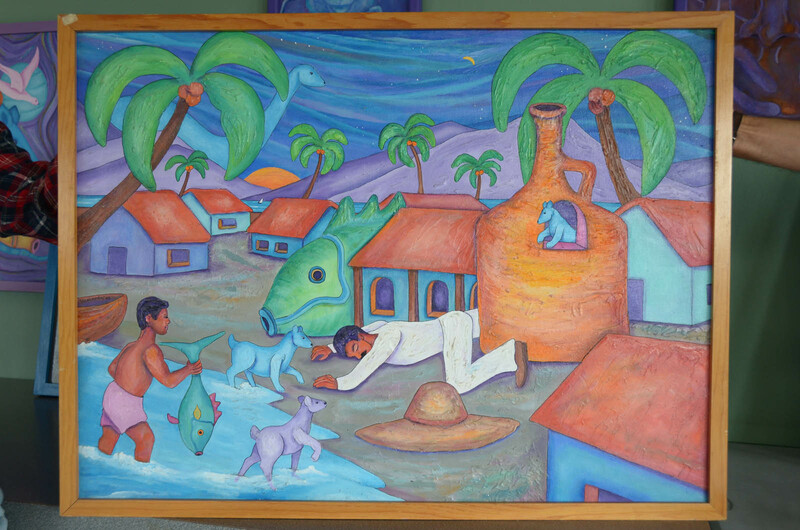 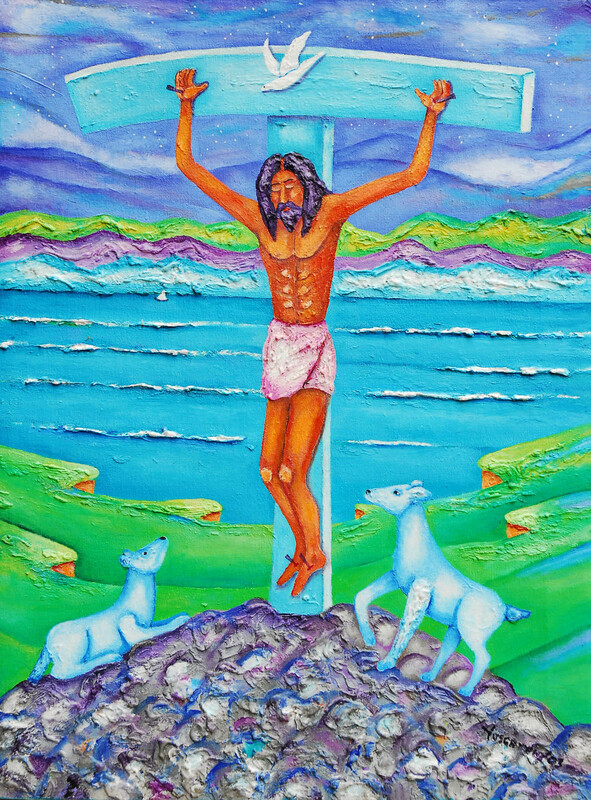 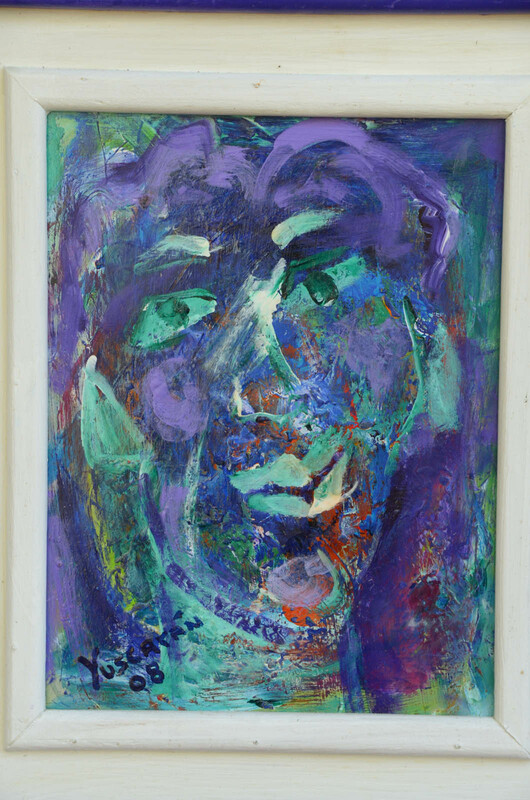 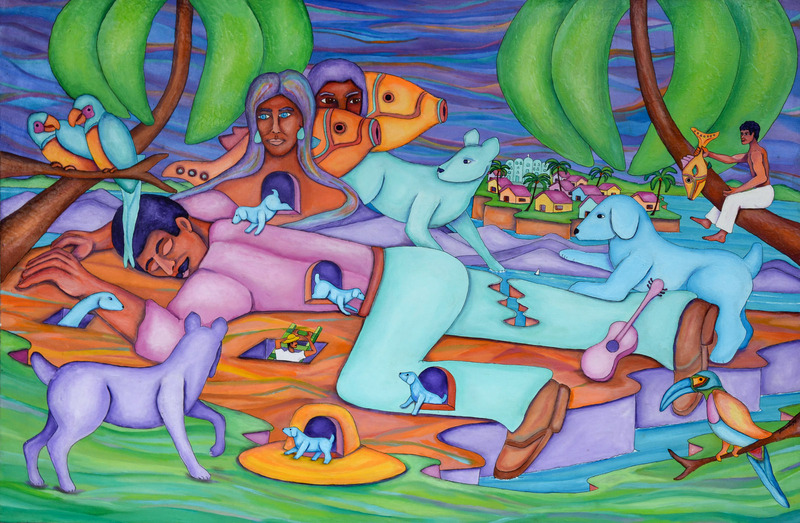 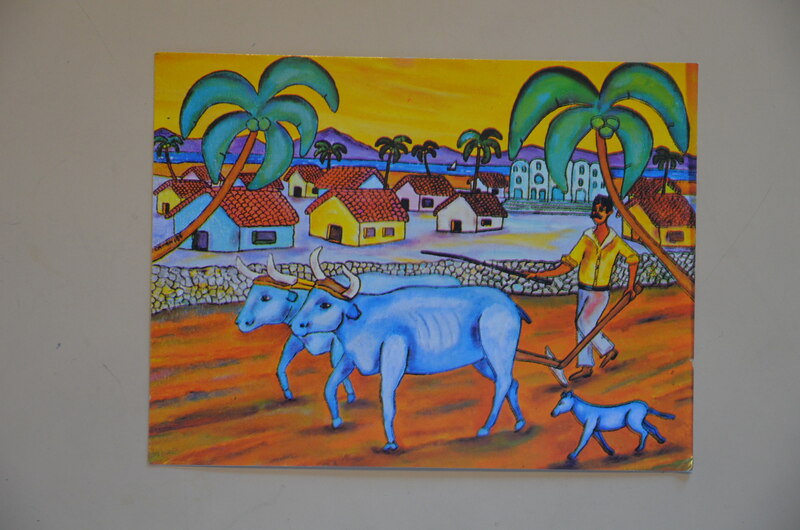 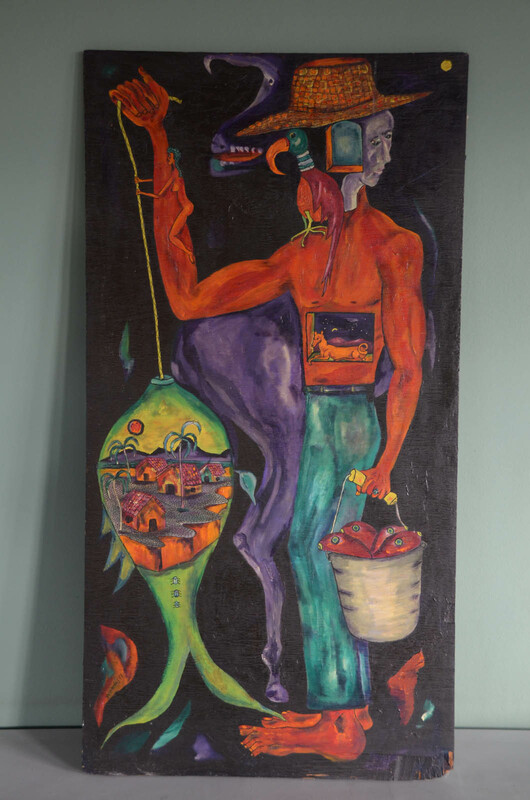 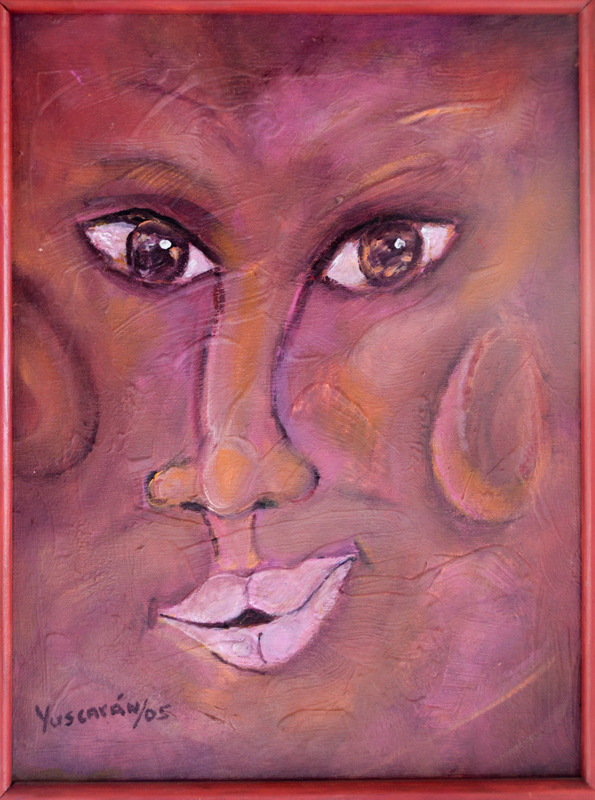 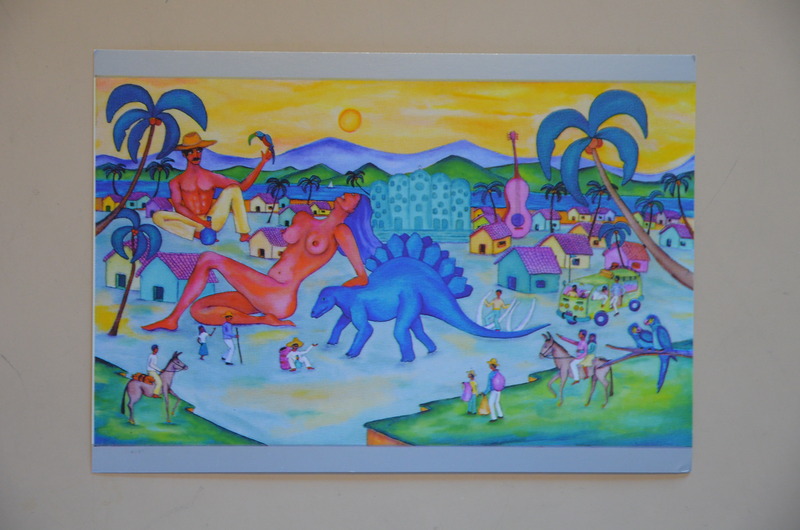 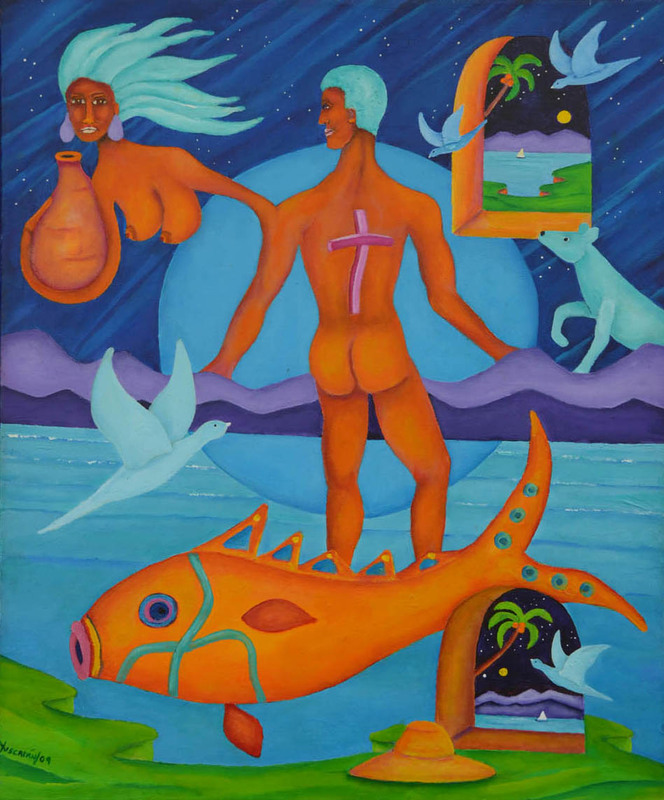 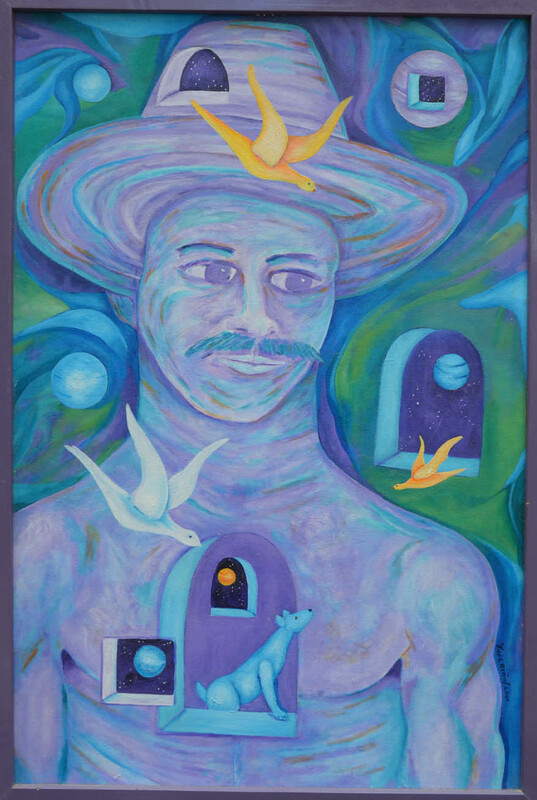 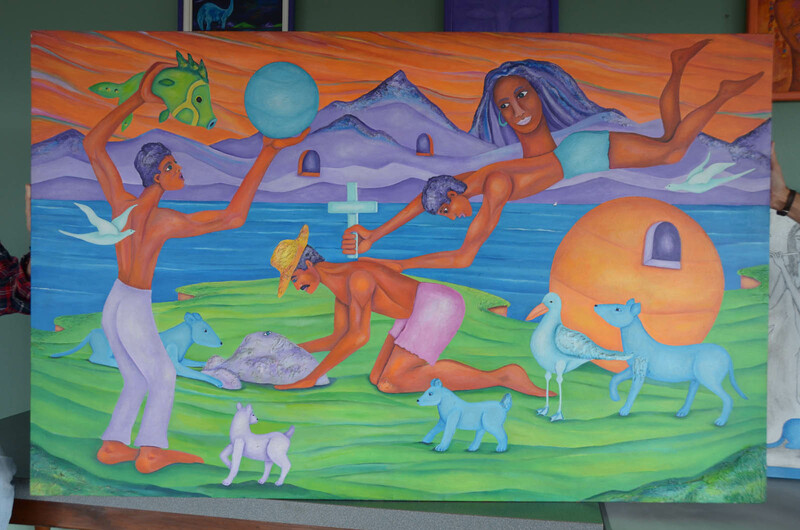 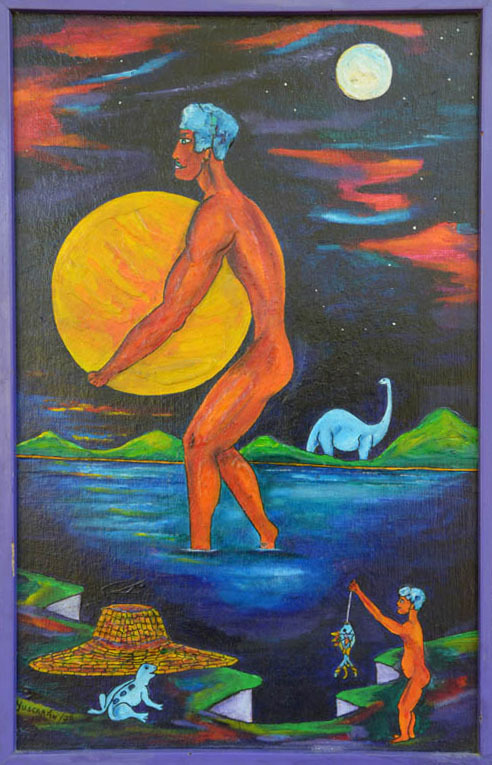 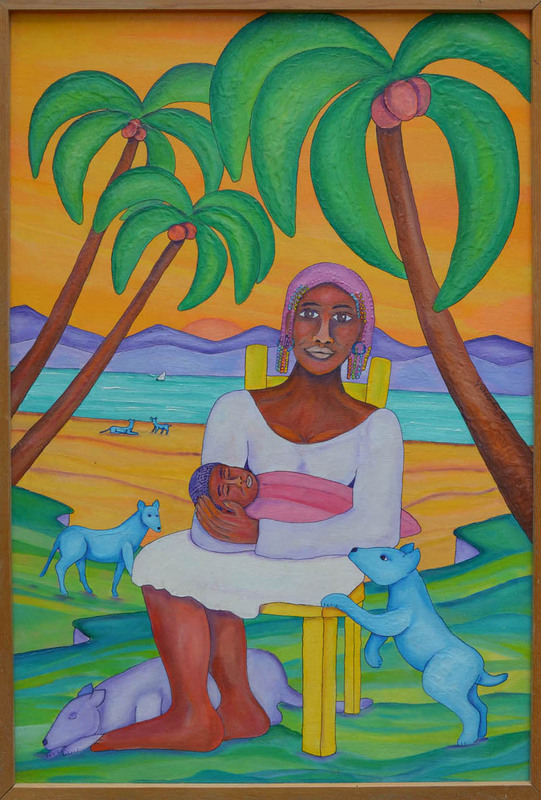 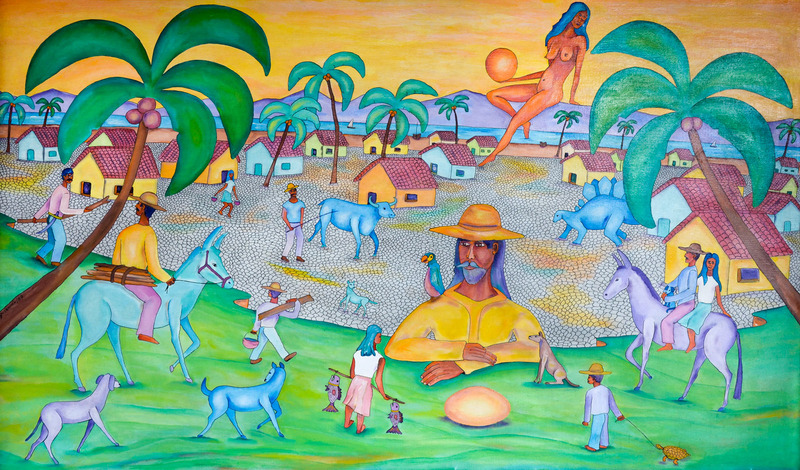 Guillermo Yuscarán (Dr. William Lewis) is a versatile U.S.-born artist and author living in Honduras, Central America. 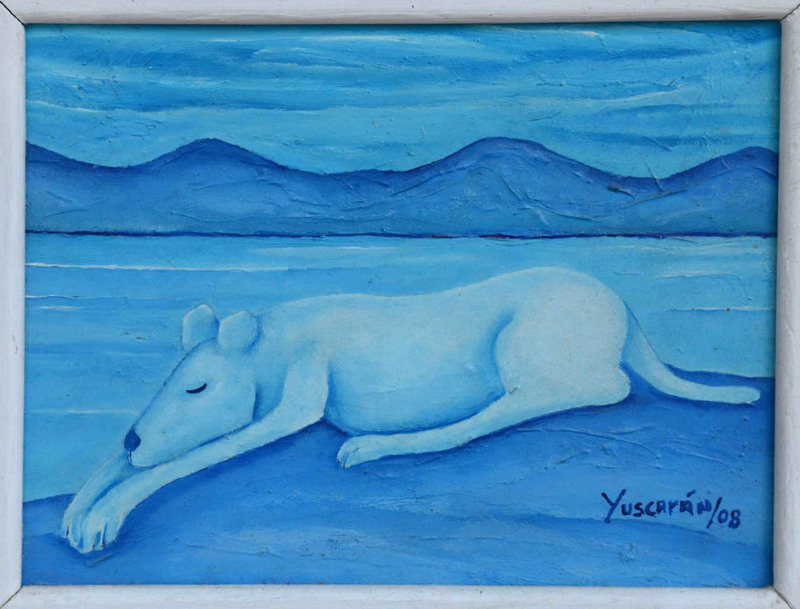 For more information, click “About Guillermo Yuscarán” in the upper part of this web page. 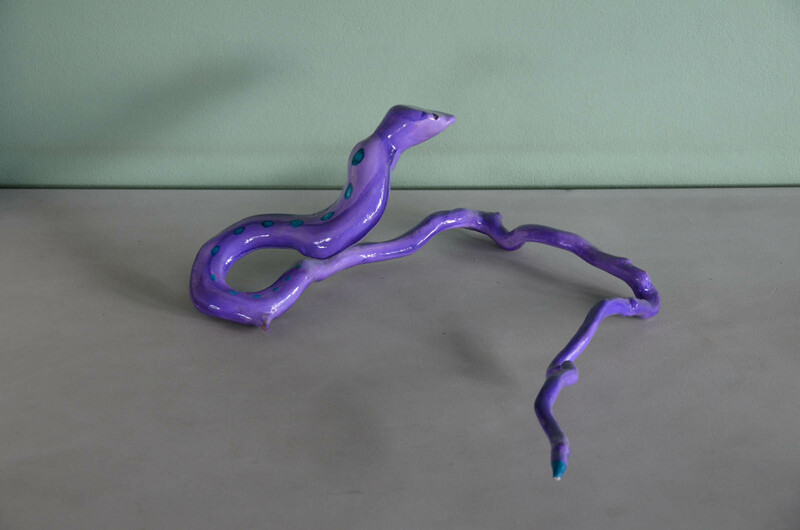 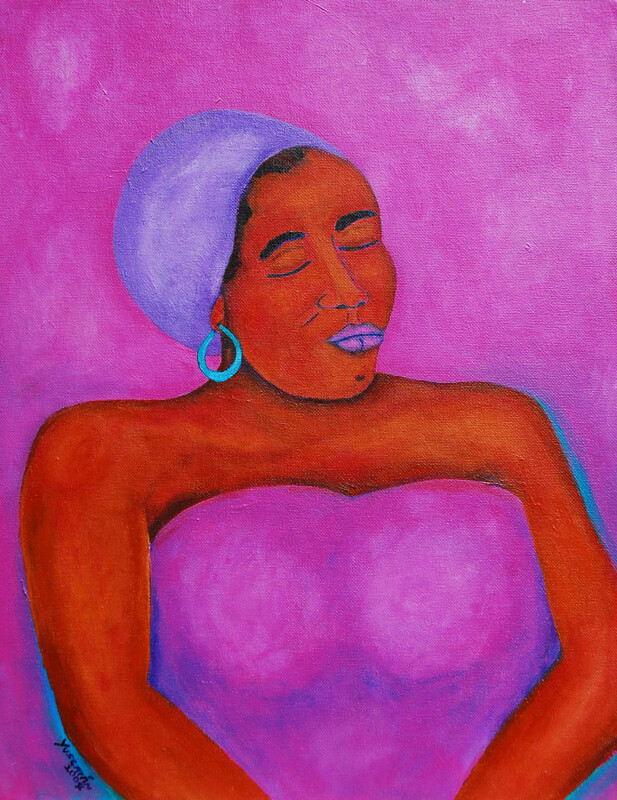 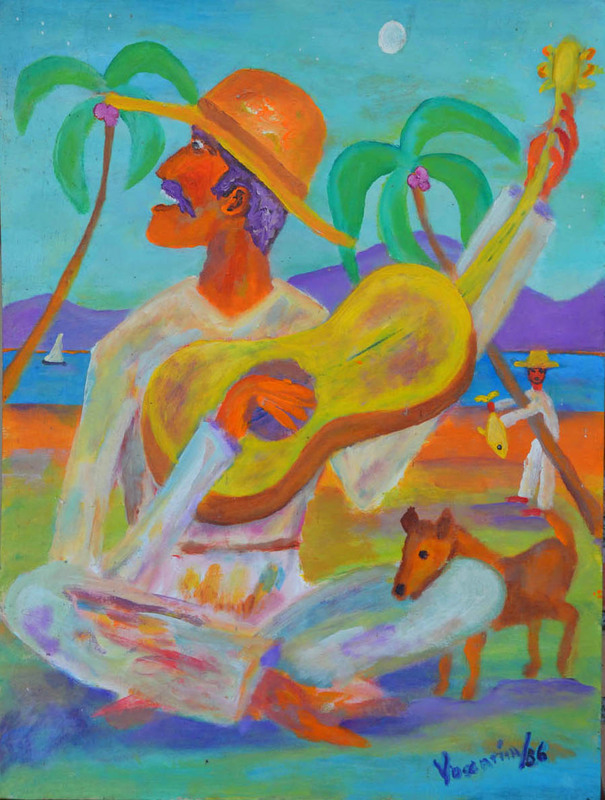 All the artwork presented below has been produced by Guillermo Yuscarán – all rights reserved and copyright (c) 2015 Guillermo Yuscarán / William Lewis. 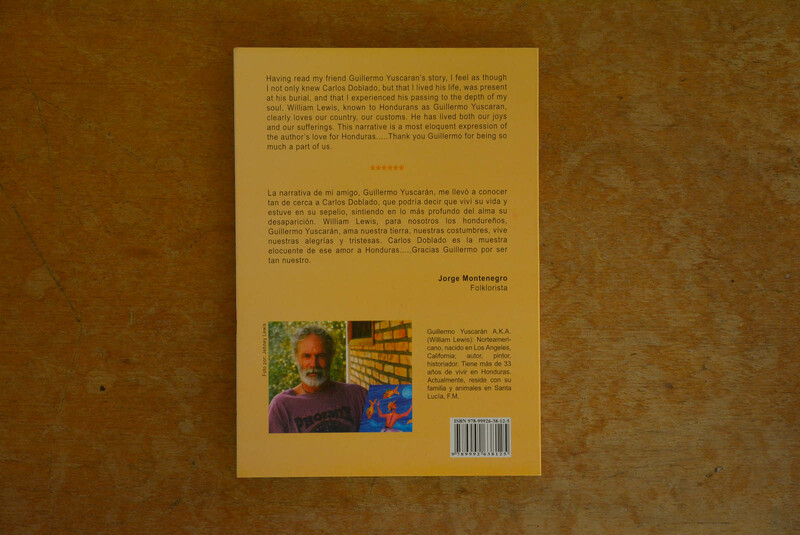 As regards the photos of the artist, the photographer has all the rights, i.e. 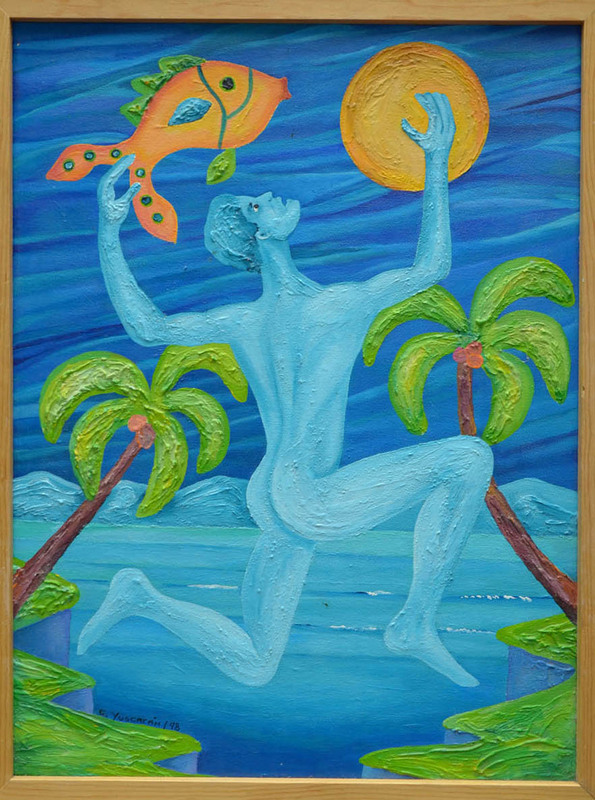 copyright (c) 2015 Erkki Siirila. 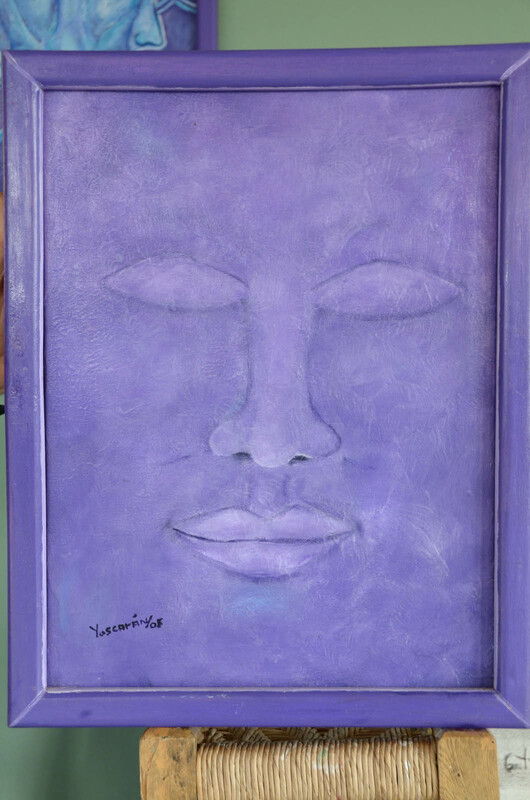 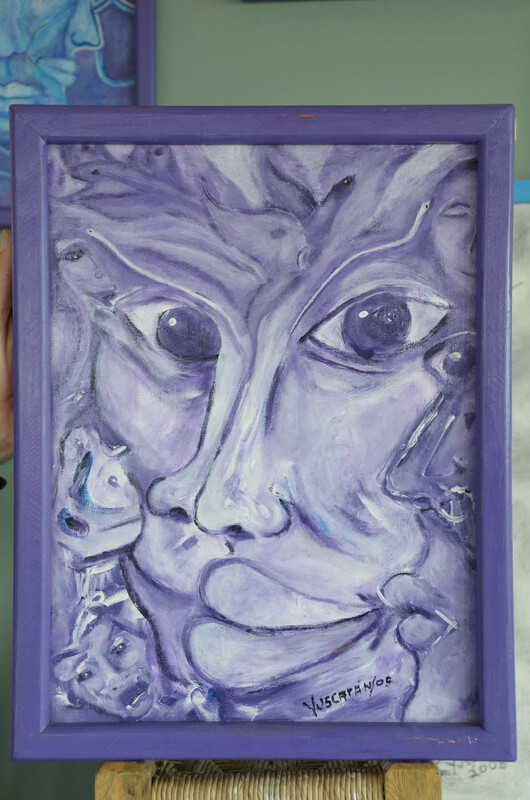 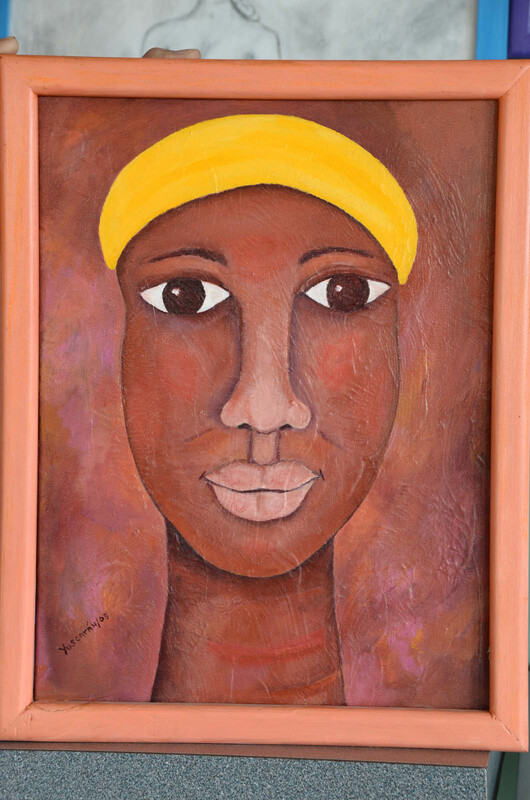 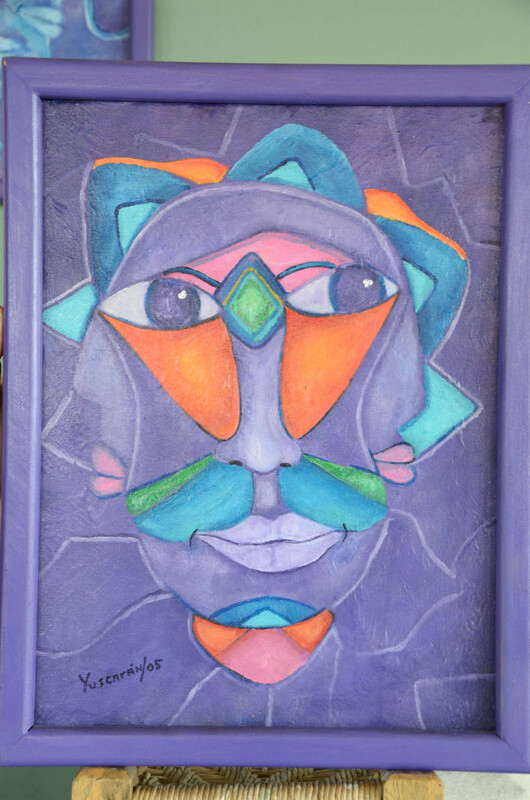 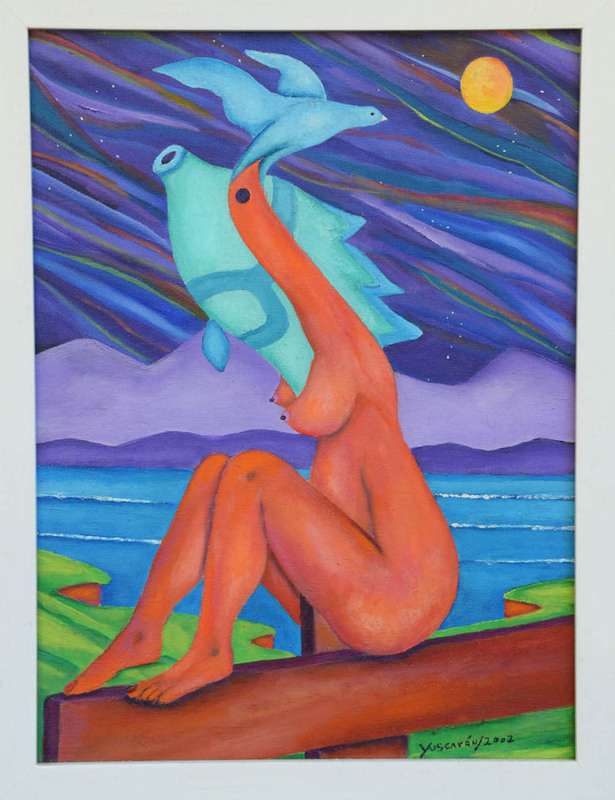 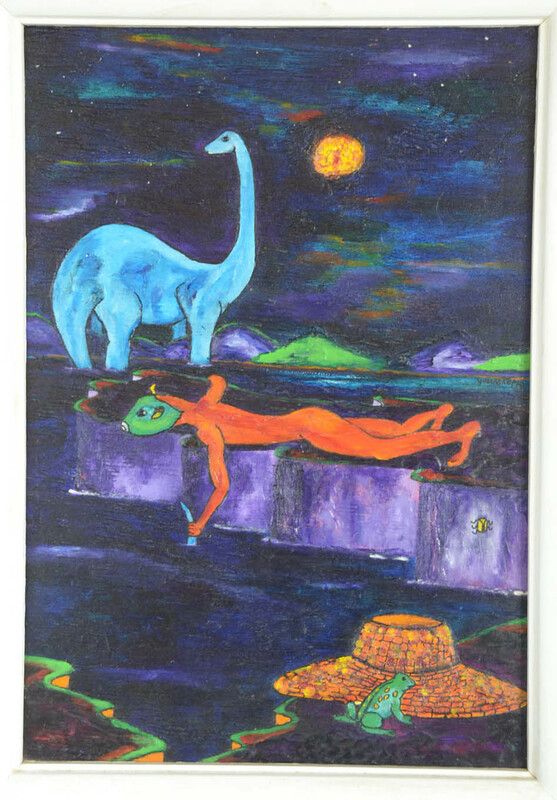 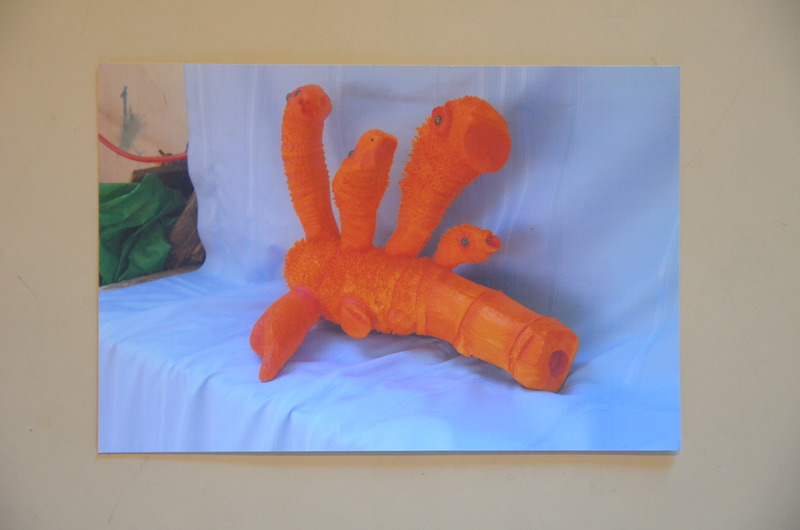 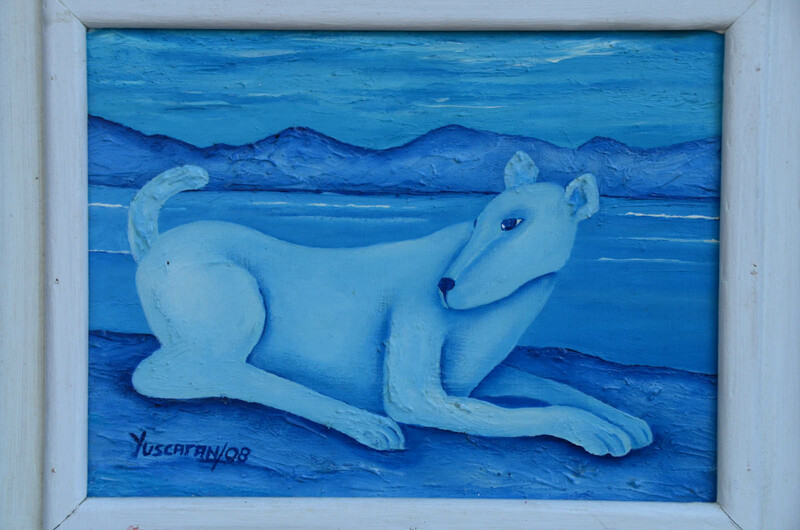 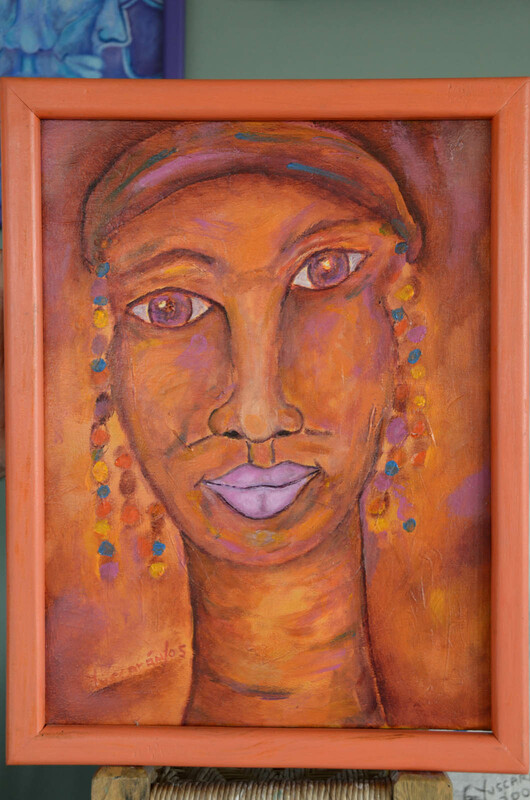 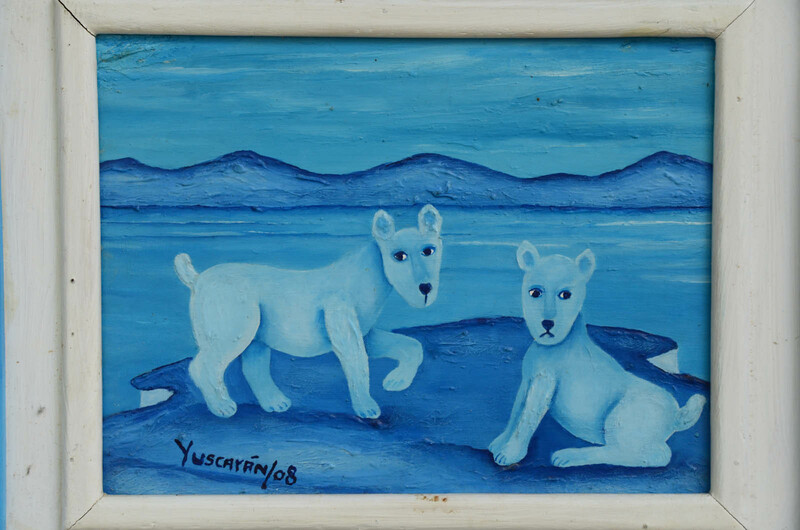 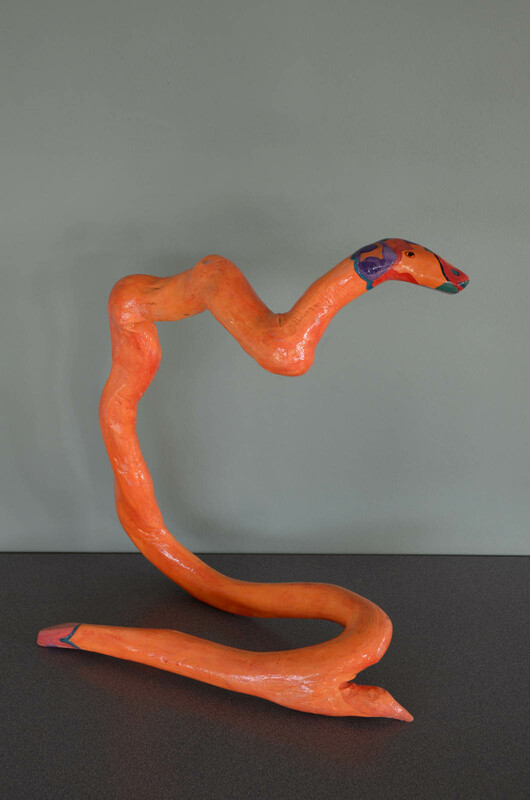 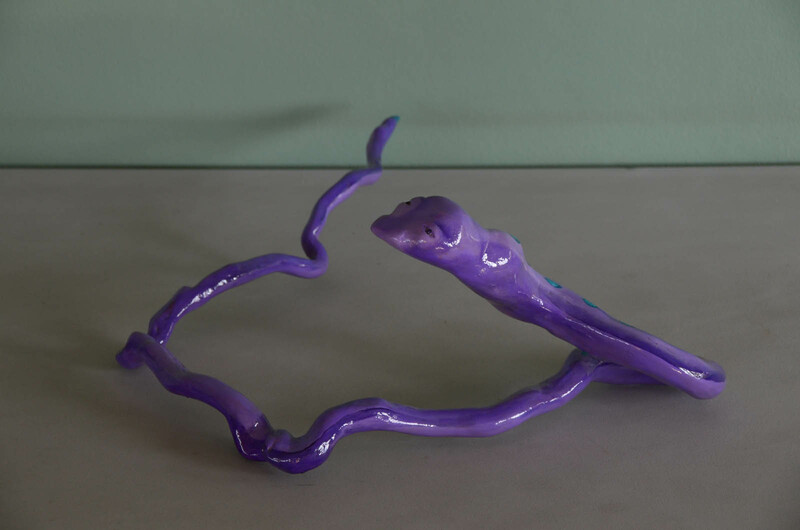 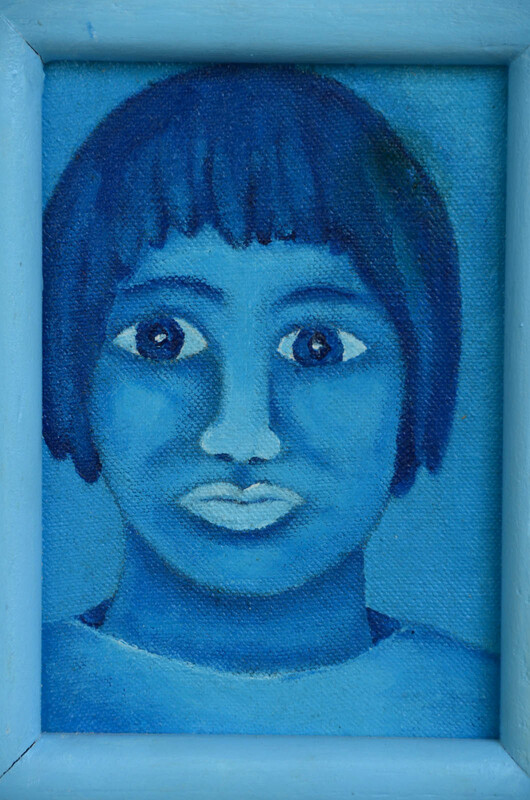 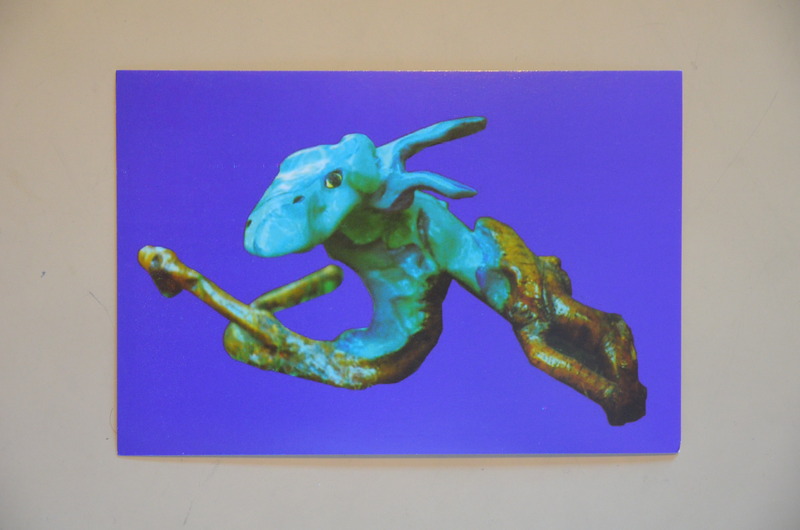 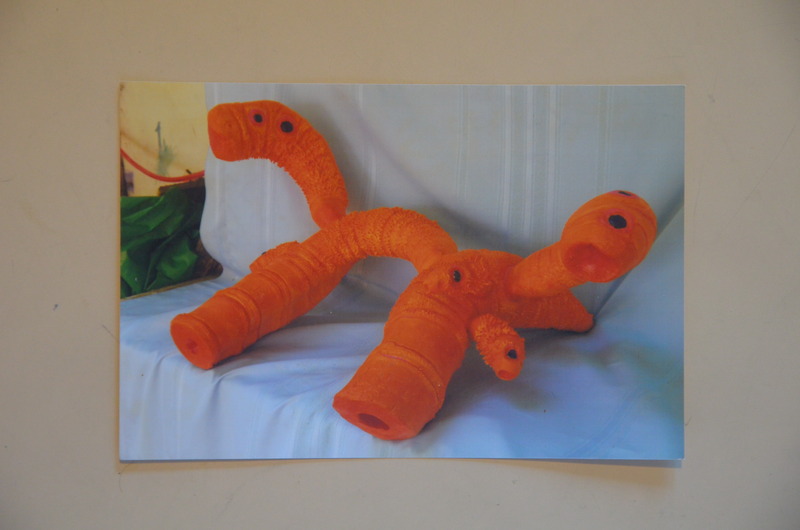 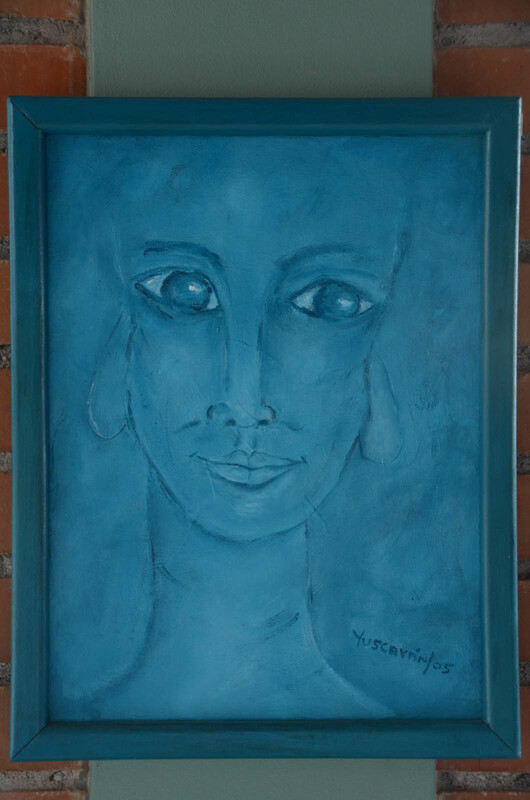 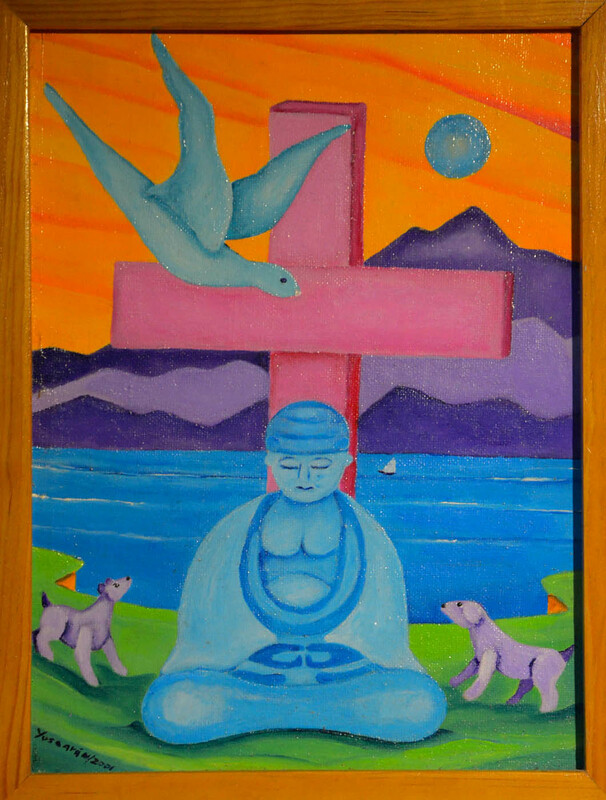 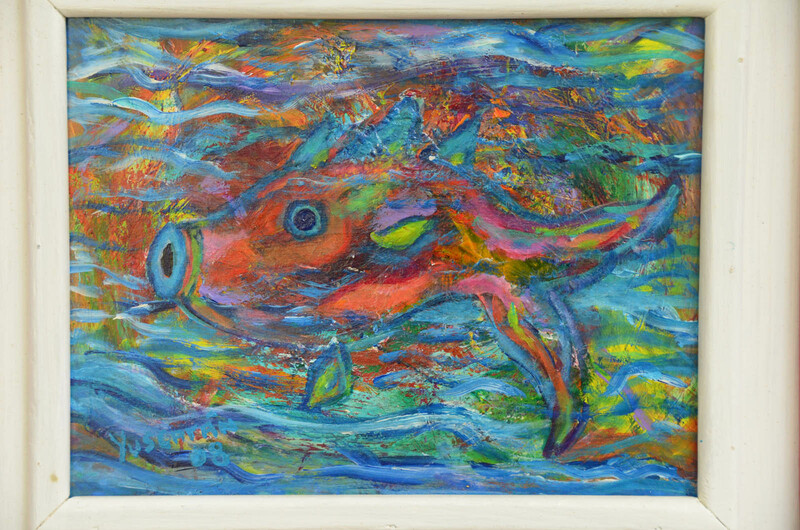 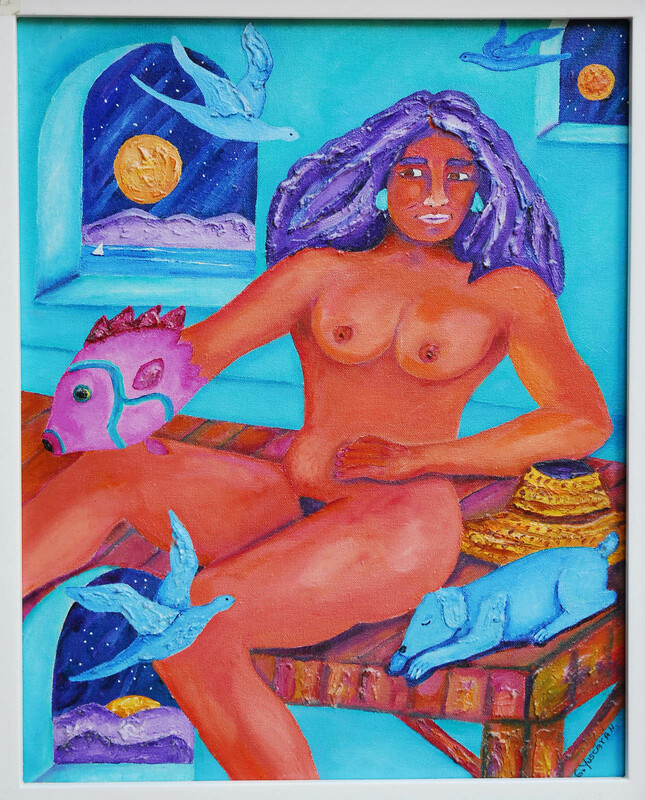 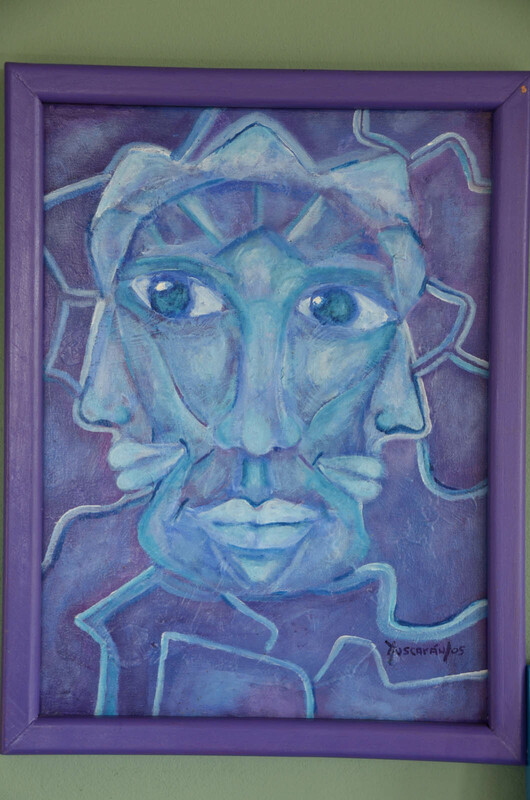 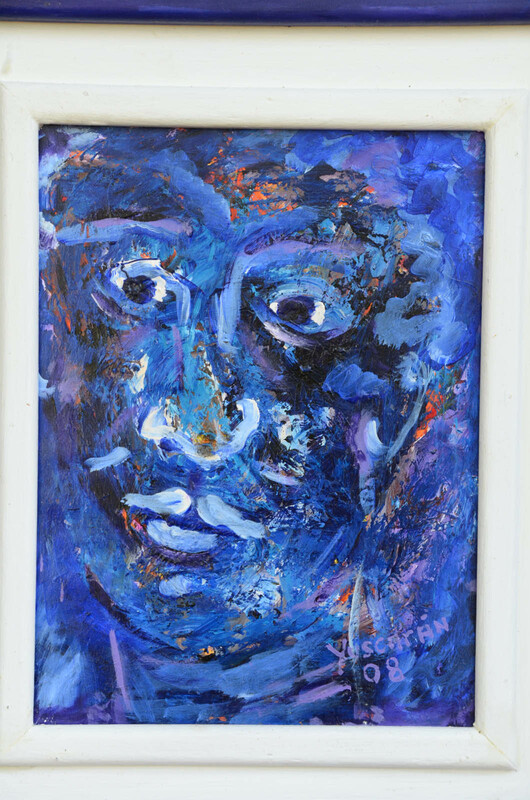 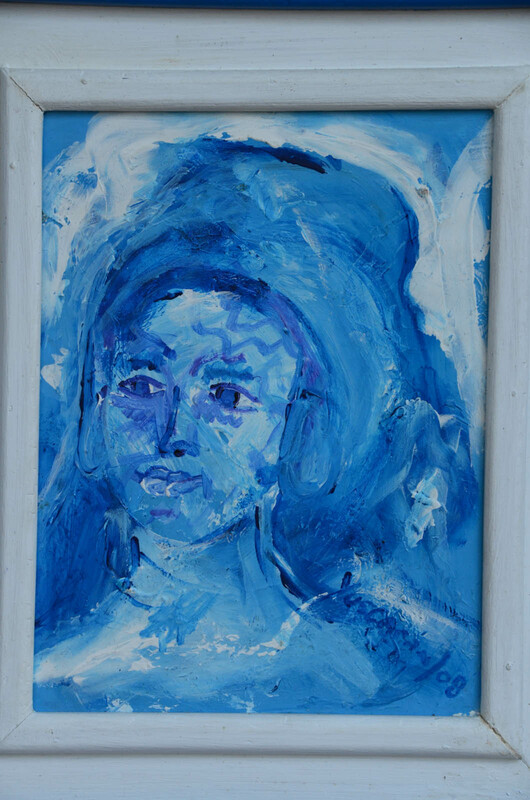 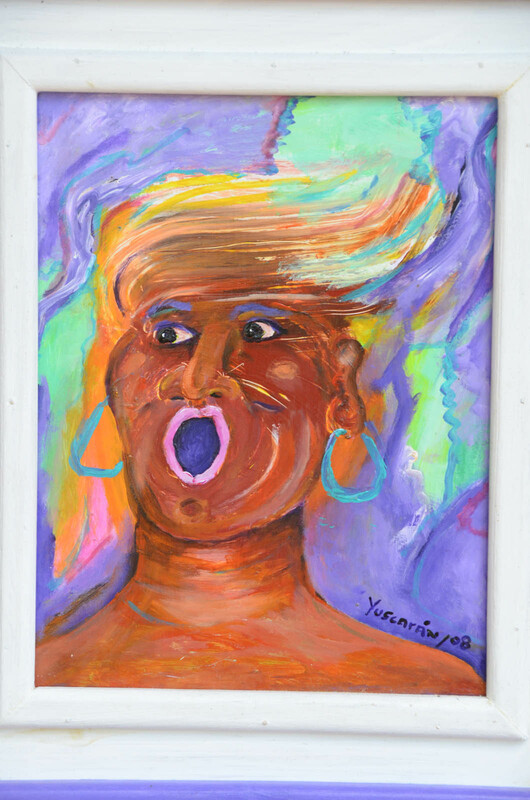 Purchase information (prices and postage) for specific paintings and sculptures can be obtained by sending an email message to gyuscaran a t yahoo d o t com. 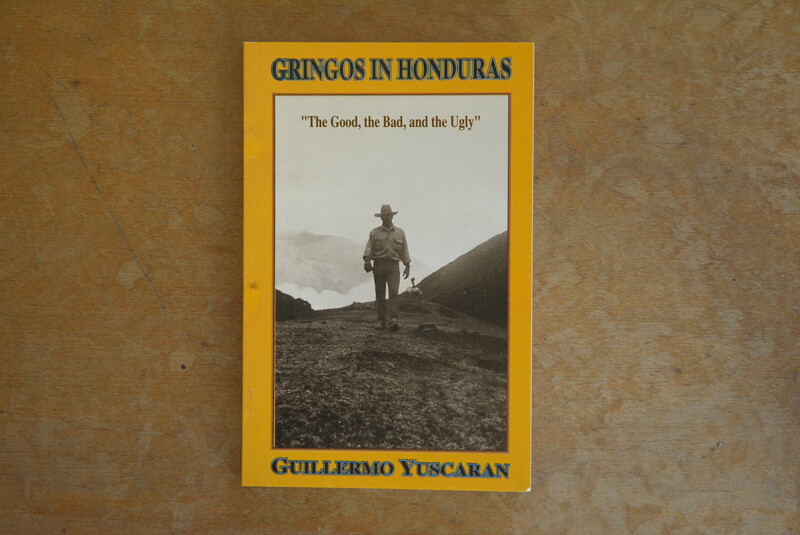 The books for sale on this website are listed under the heading “About Guillermo Yuscarán”. 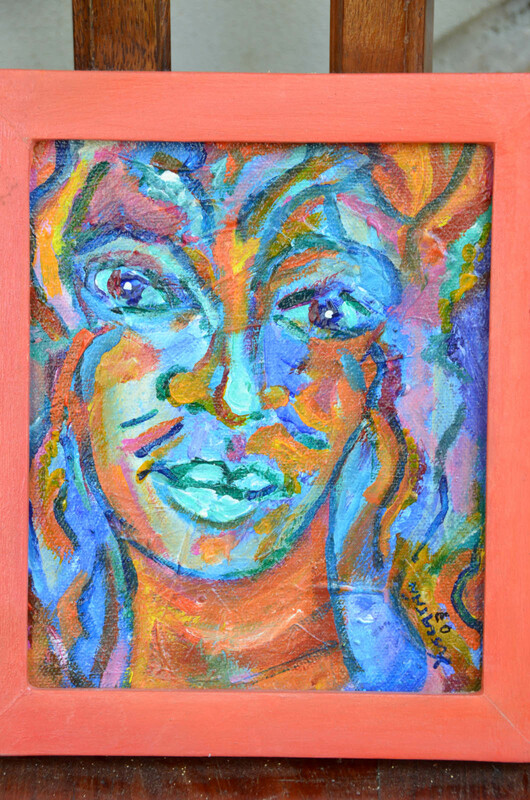 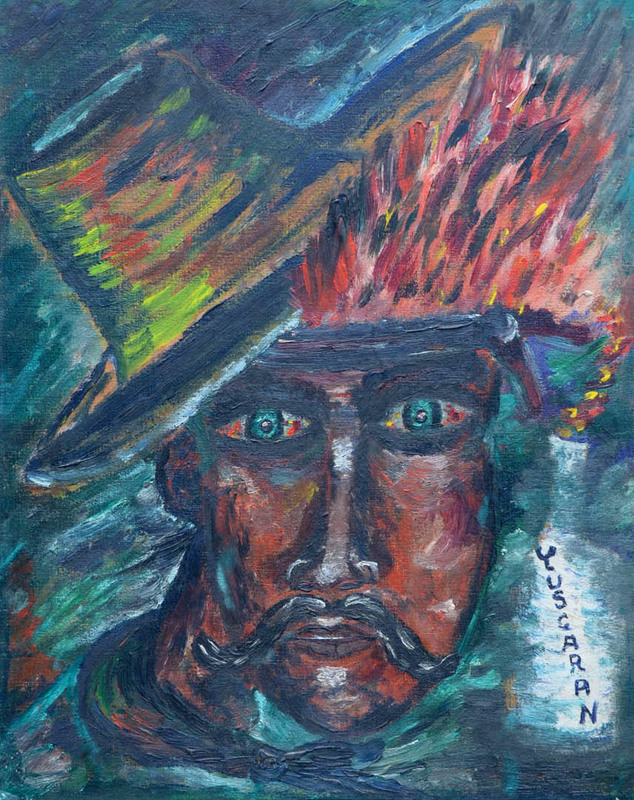 You may have arrived on these web pages by navigating either to yuscaranart.wordpress.com or to guillermoyuscaran.com. 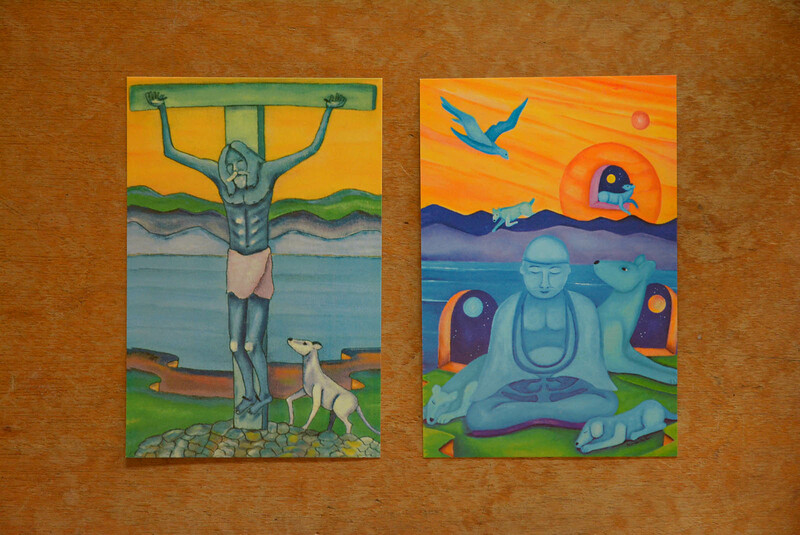 Both addresses are valid. 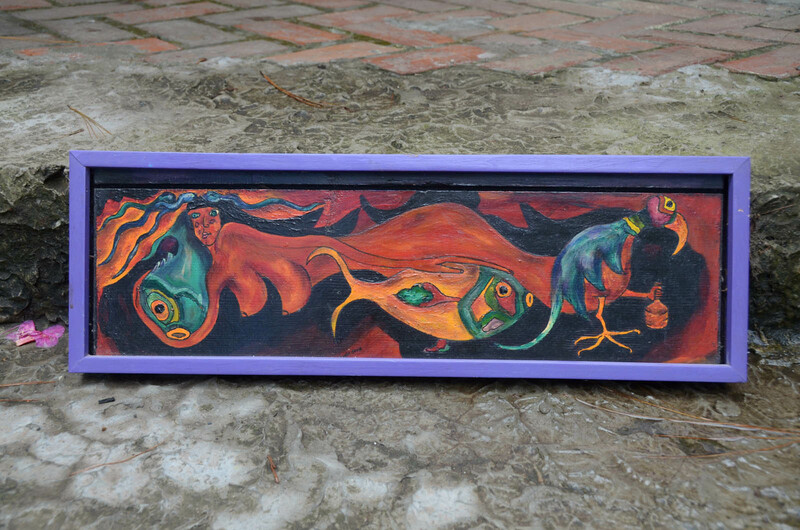 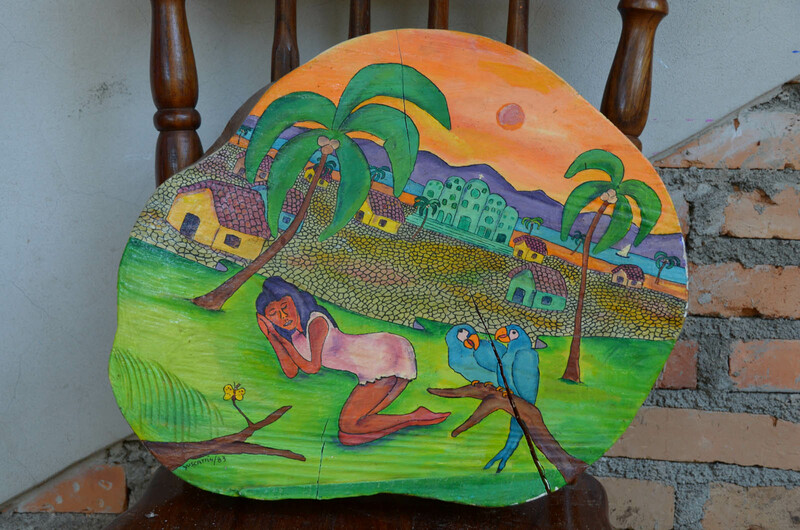 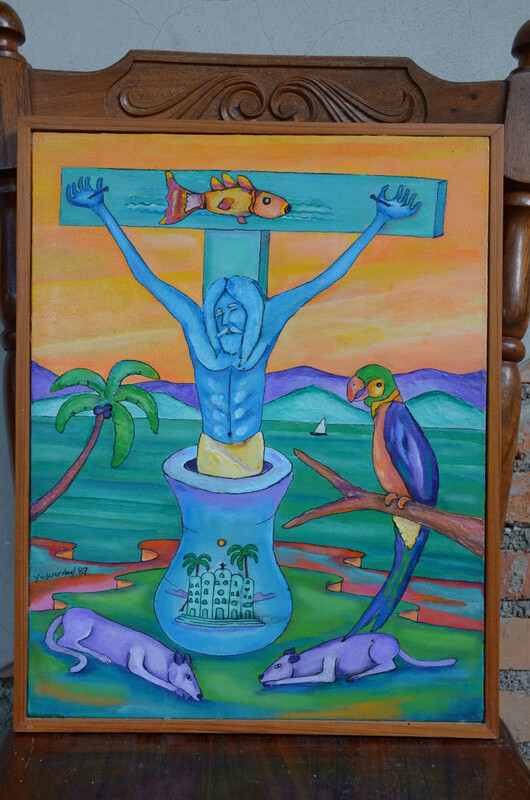 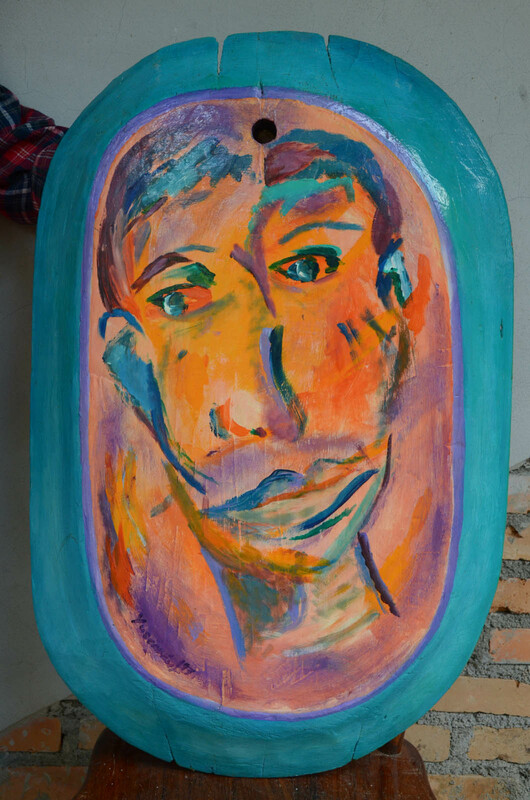 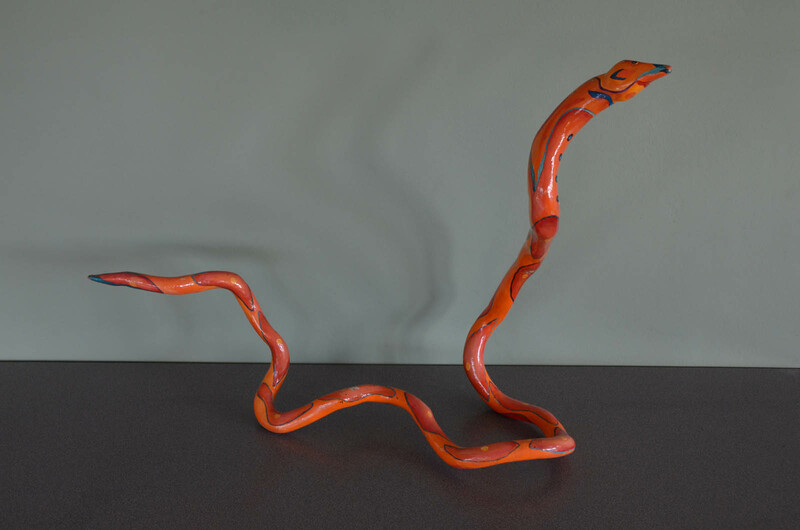 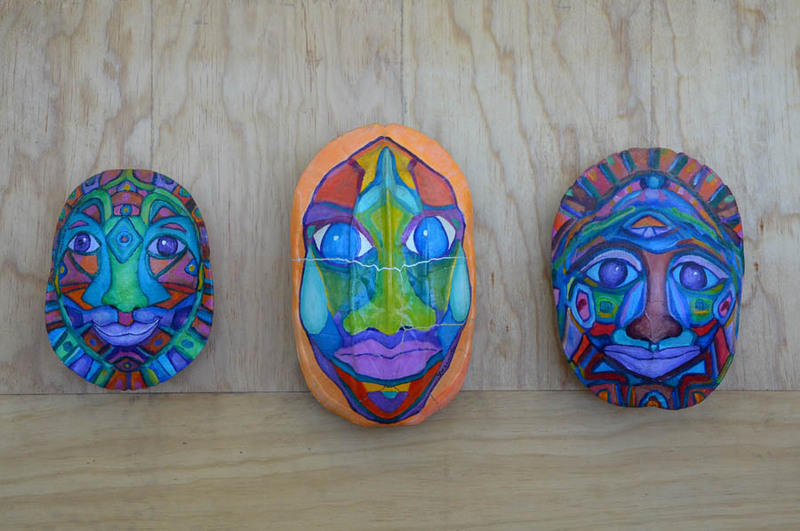 Guillermo Yuscarán has produced hundreds of paintings and dozens of wood sculptures. 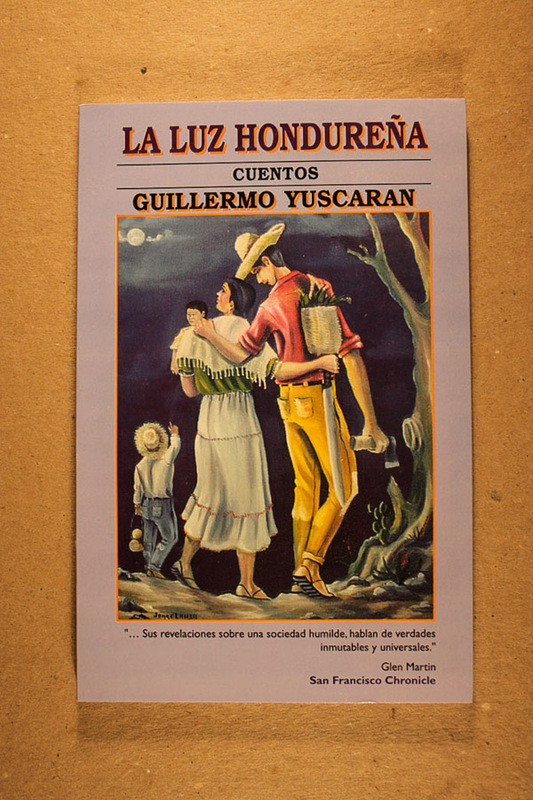 Many of them have found their final home in countries outside Honduras. 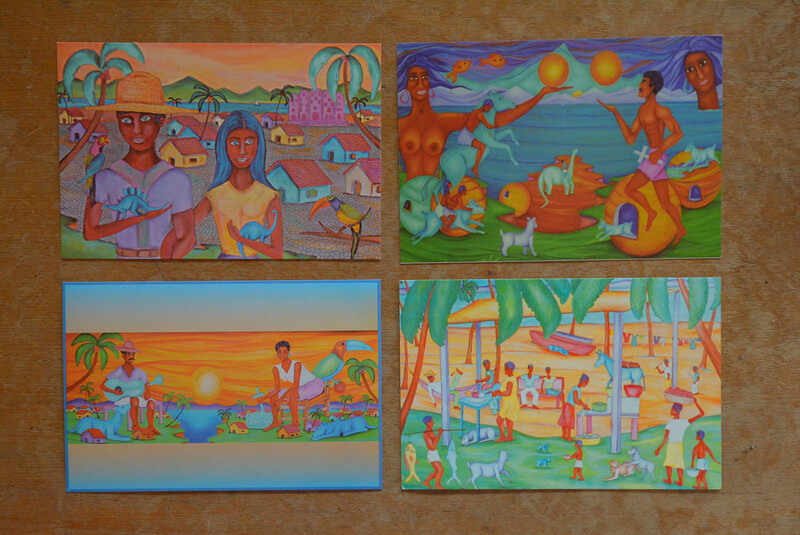 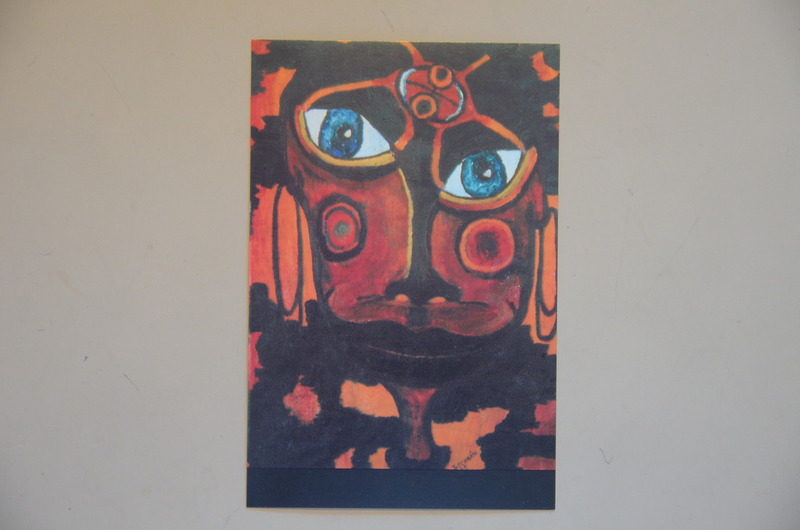 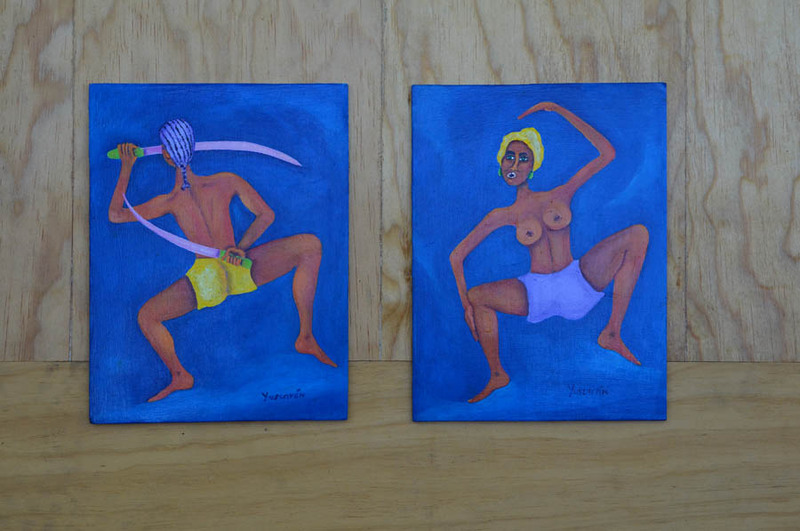 Here we have some examples of Yuscarán’s work. 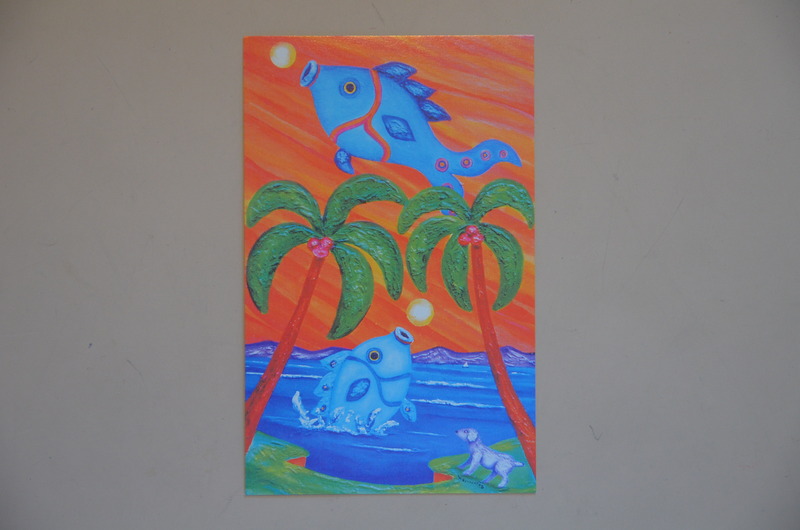 By clicking on the images, you will see their bigger versions. 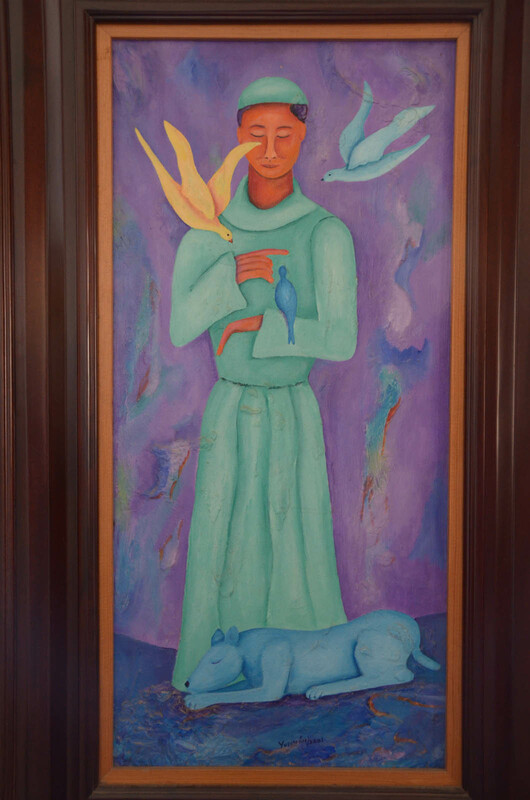 If interested in any of the paintings/sculptures numbered below, please email the artist (gyuscaran@yahoo.com) the number or numbers of interest and he will supply the size(s), medium used, and the price of each piece of art (shipment costs not included). 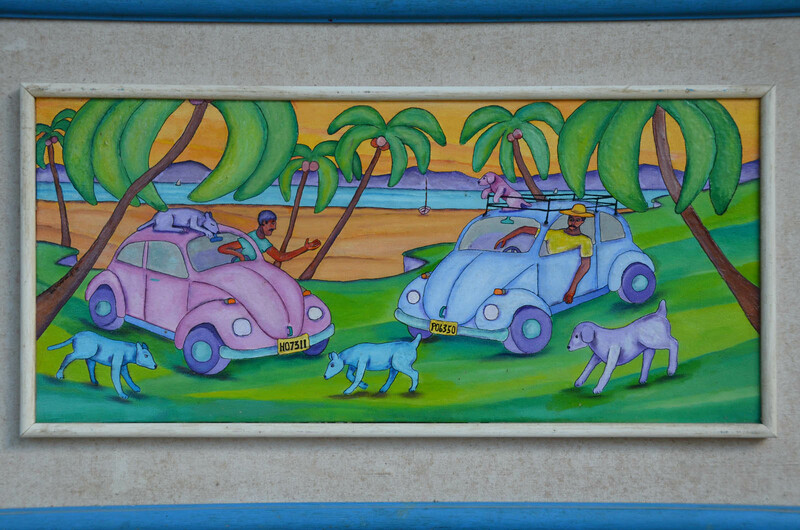 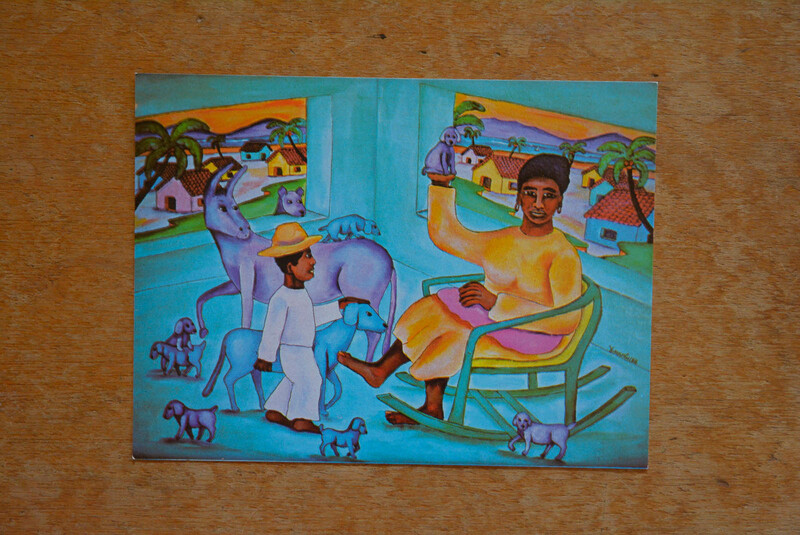 He has also produced more than eighty different post cards of individual paintings done over many years. 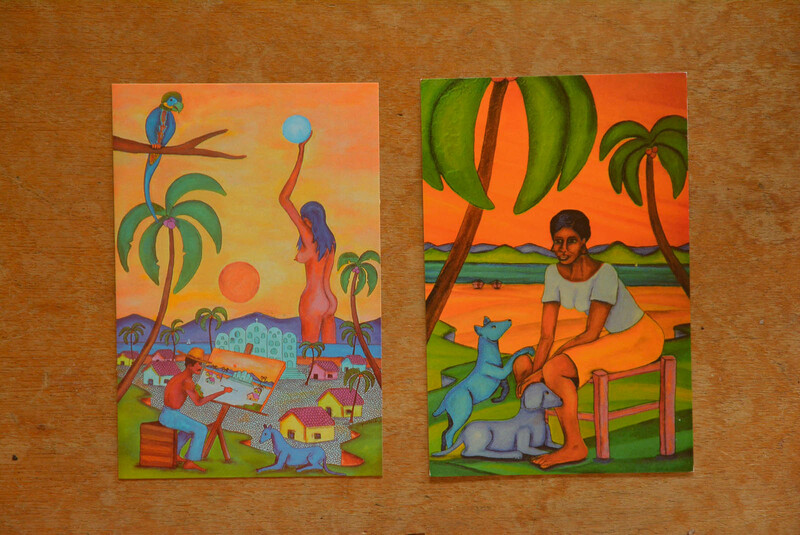 Samples of some of these may be seen below (scroll down). 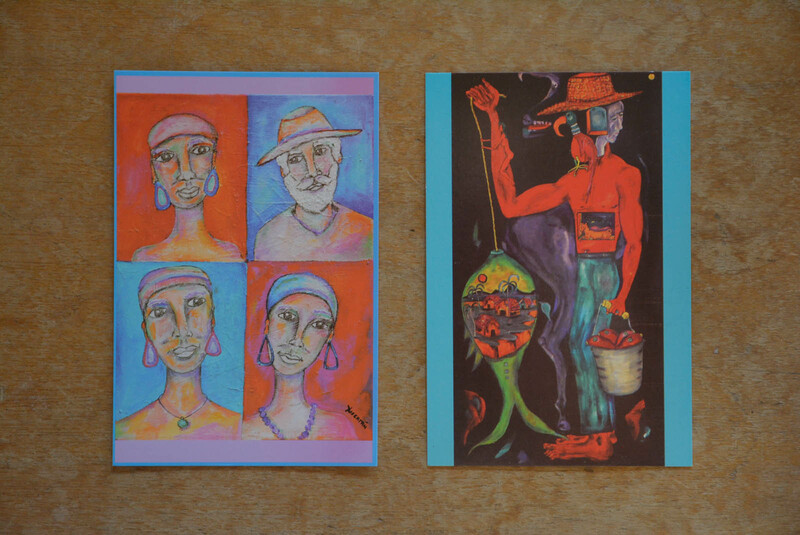 Each post card costs $3.00 (shipment costs included). 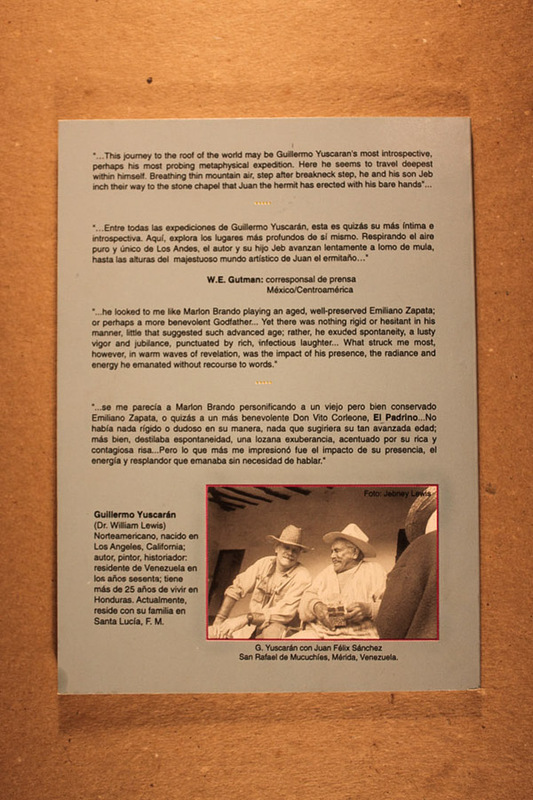 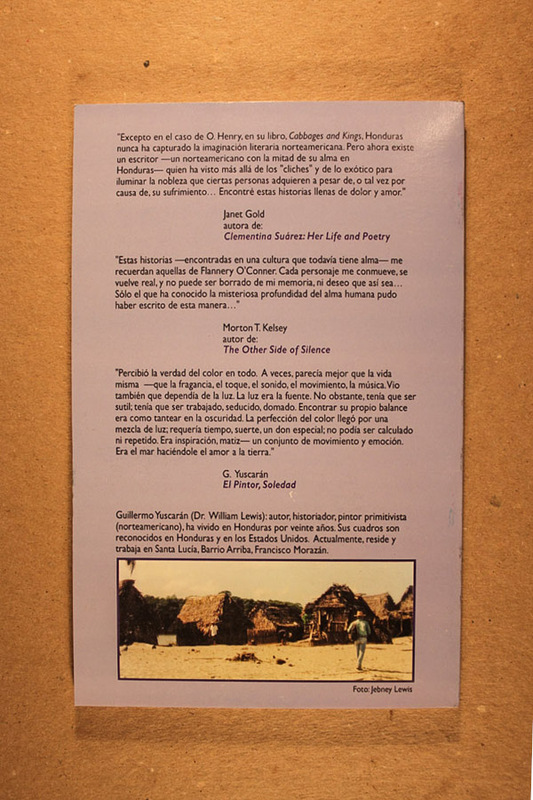 This is a selection of literature published by Guillermo Yuscarán. 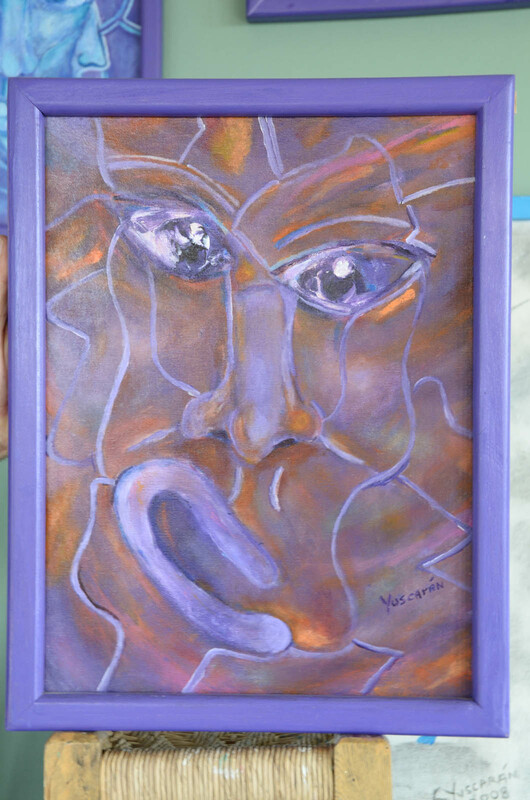 Click on the images to view the details. 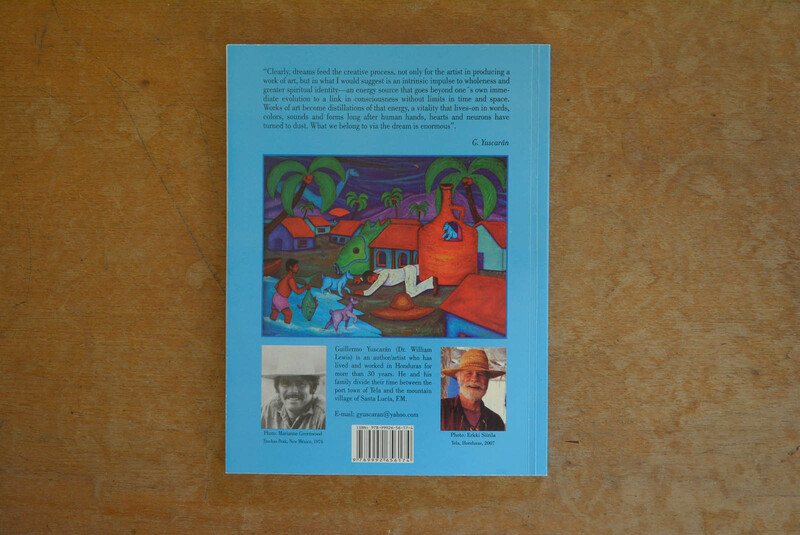 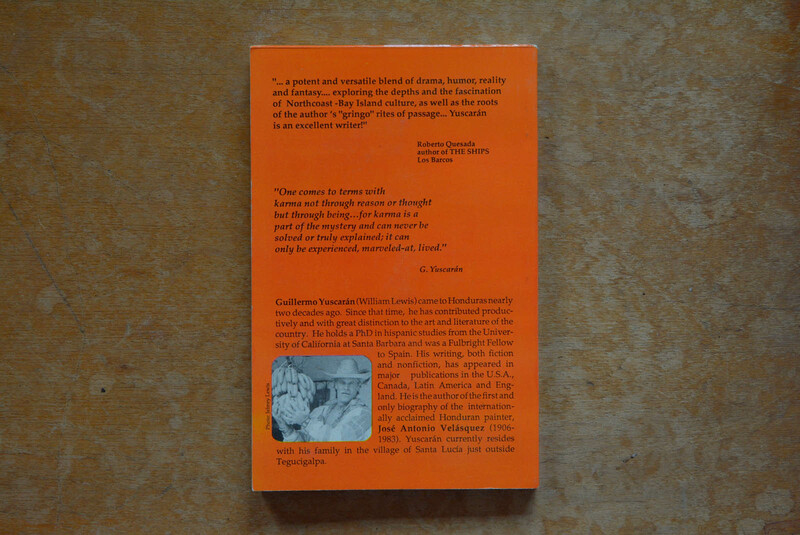 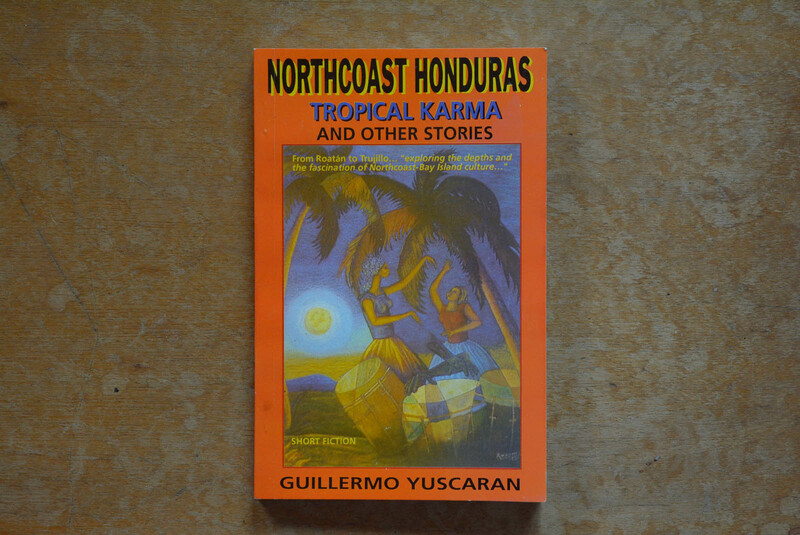 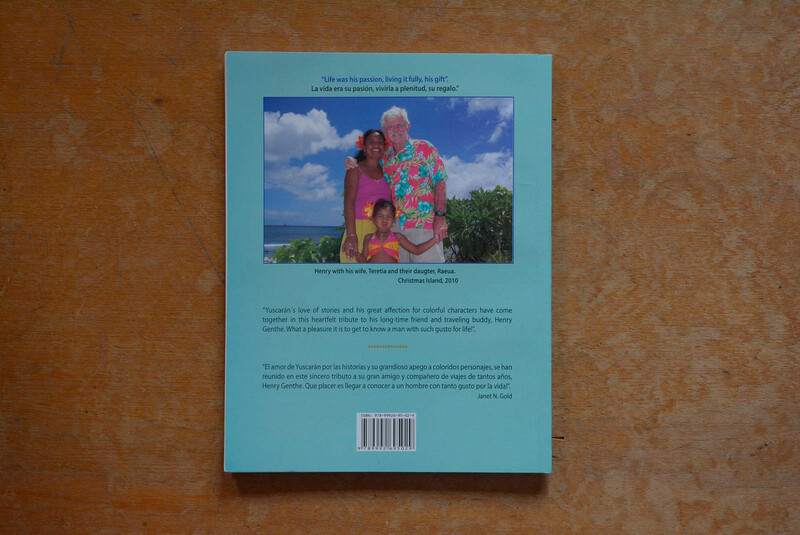 Northcoast Honduras (Tropical Karma)..short stories in English, 1993., $16.00, plus postage. 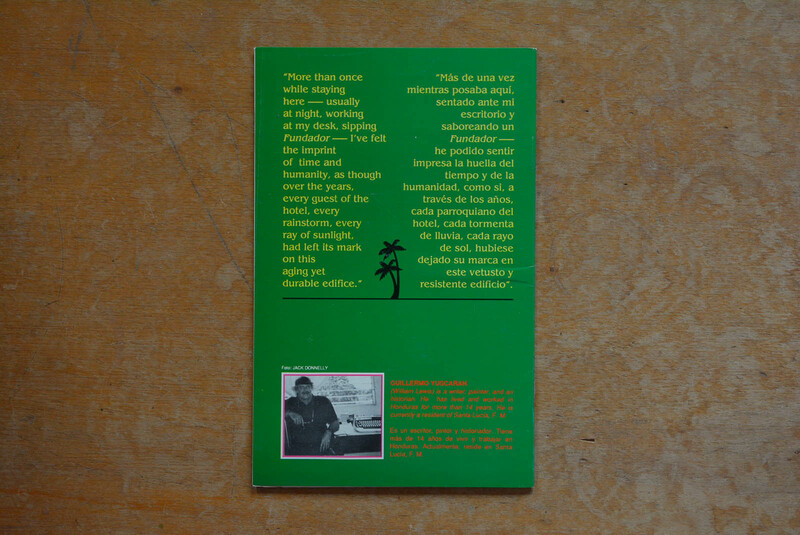 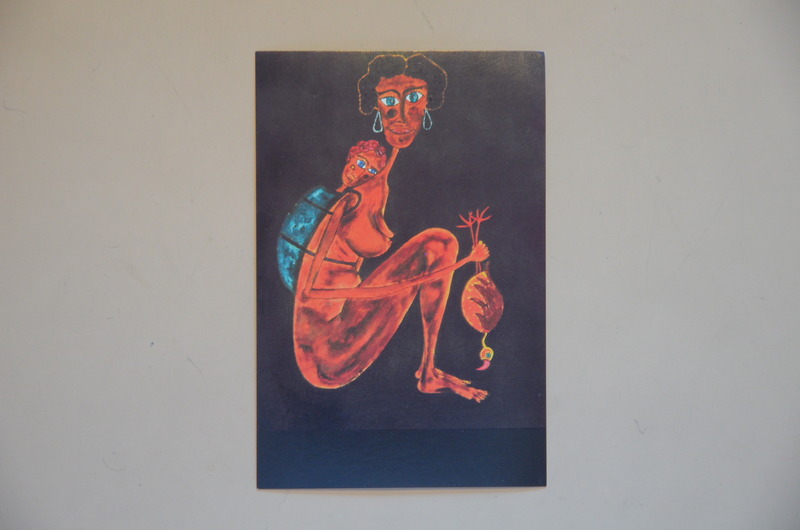 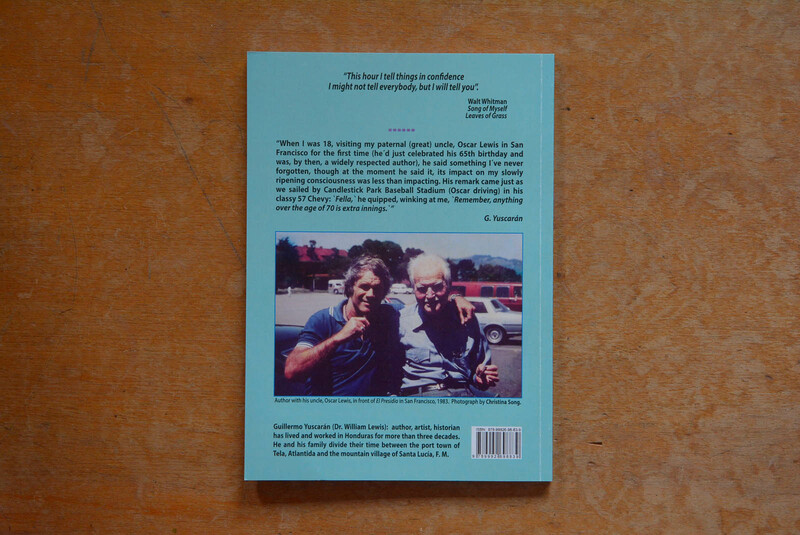 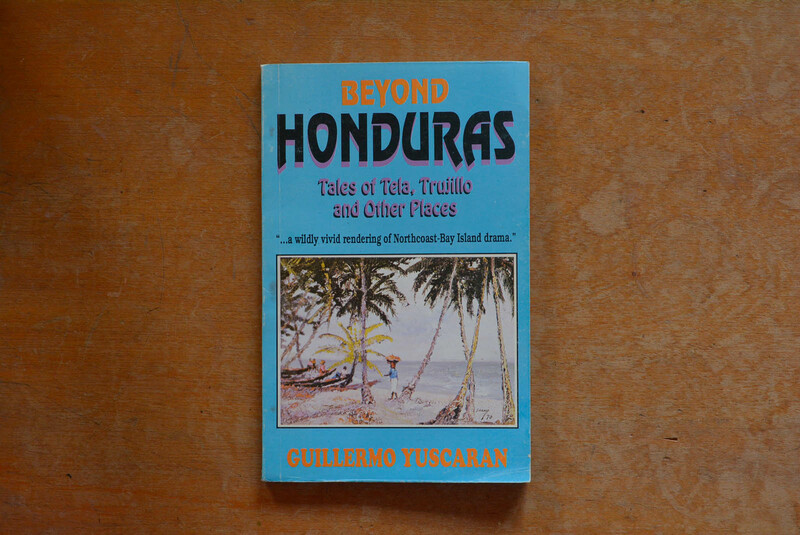 Beyond Honduras (Tales of Tela, Trujillo, other places)…short stories, 1991,$ 15.00, plus postage. 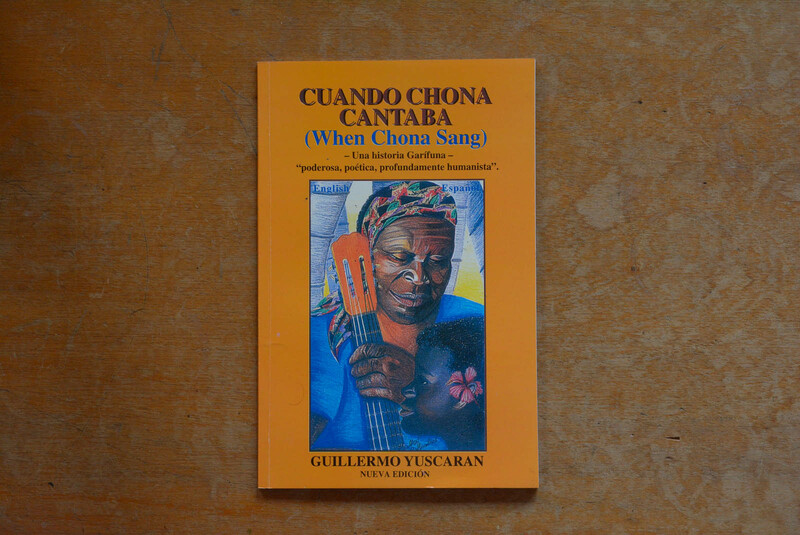 Cuando Chona Cantaba (When Chona Sang), bilingual fiction, 1997, $12.00, plus postage. 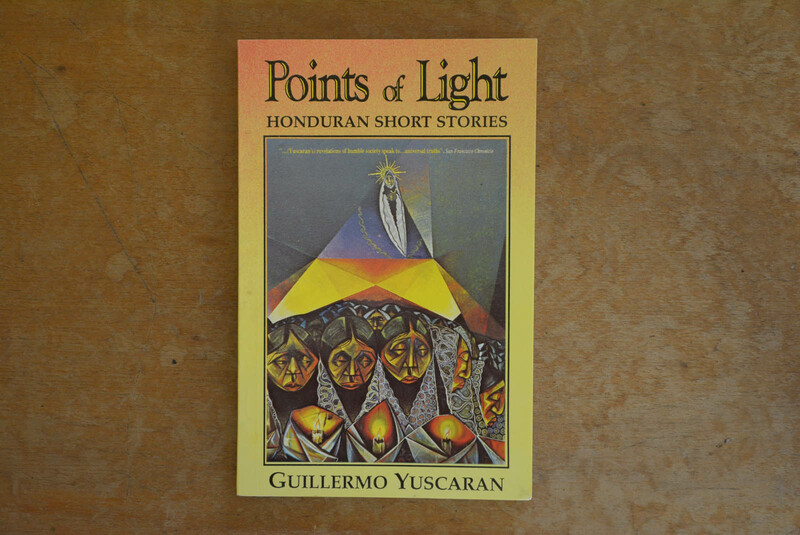 Points of Light..short stories in English, 1992, $15.00, plus postage. 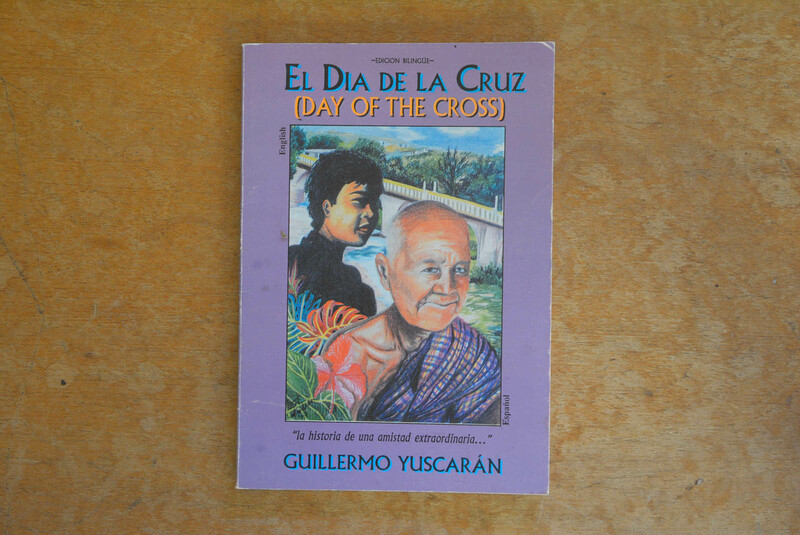 El dia de la cruz (Day of the Cross), 1998 bilingual fiction, $12.00, plus postage. 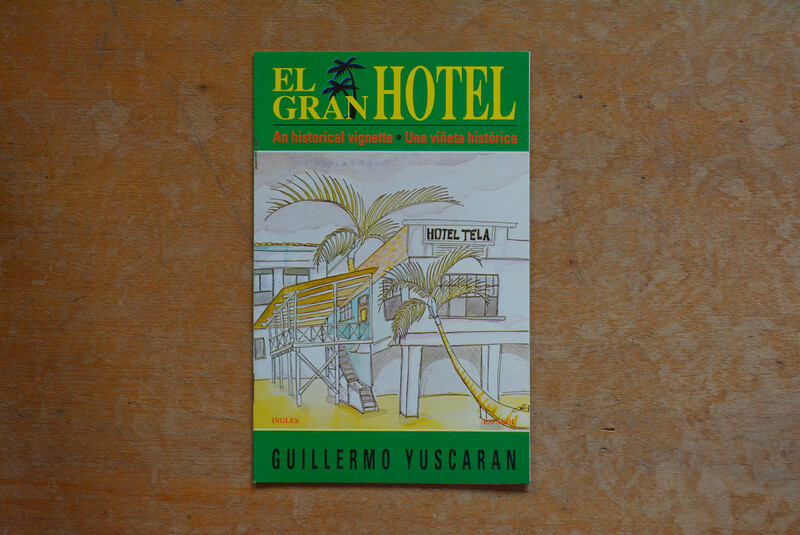 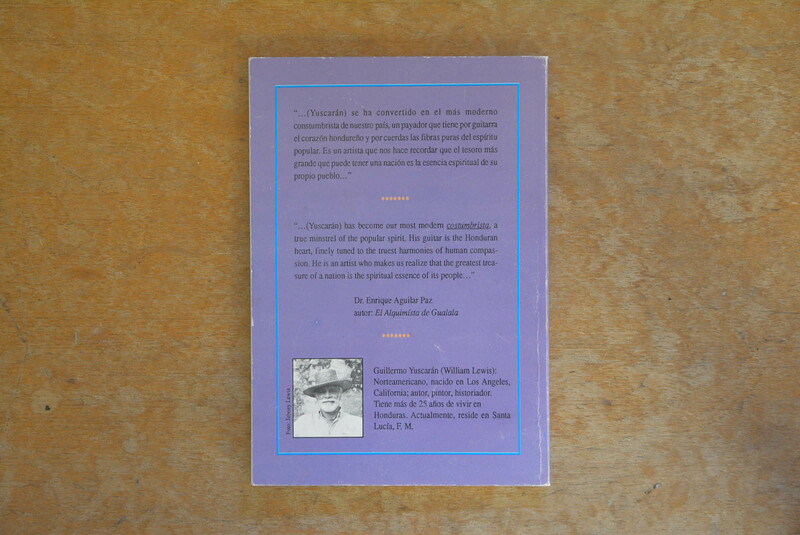 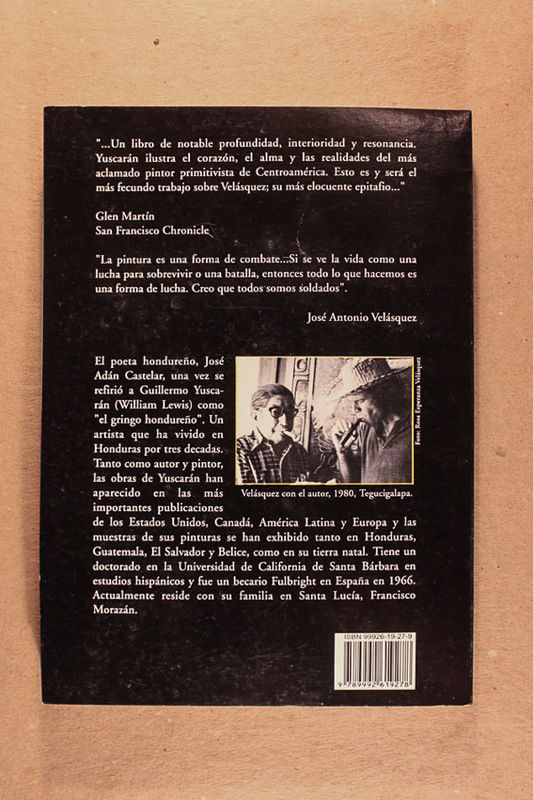 El Gran Hotel…bilingual historical vignette (few copies)..1991, $10.00 plus postage. 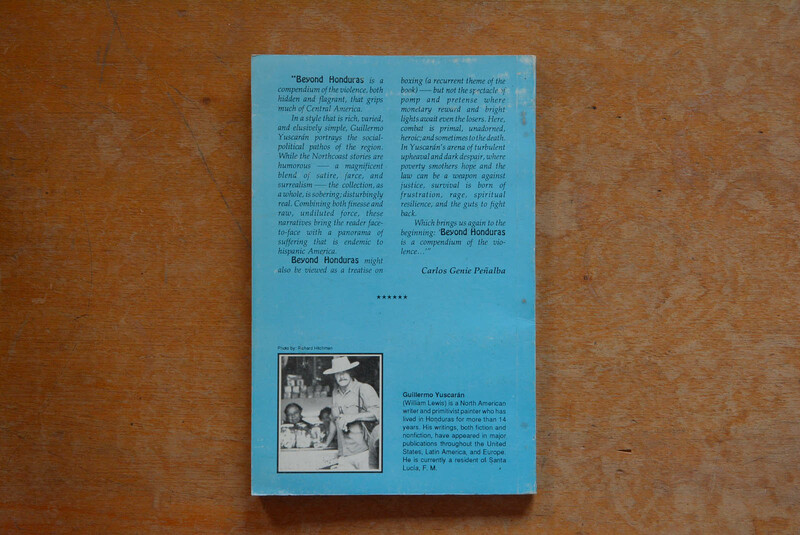 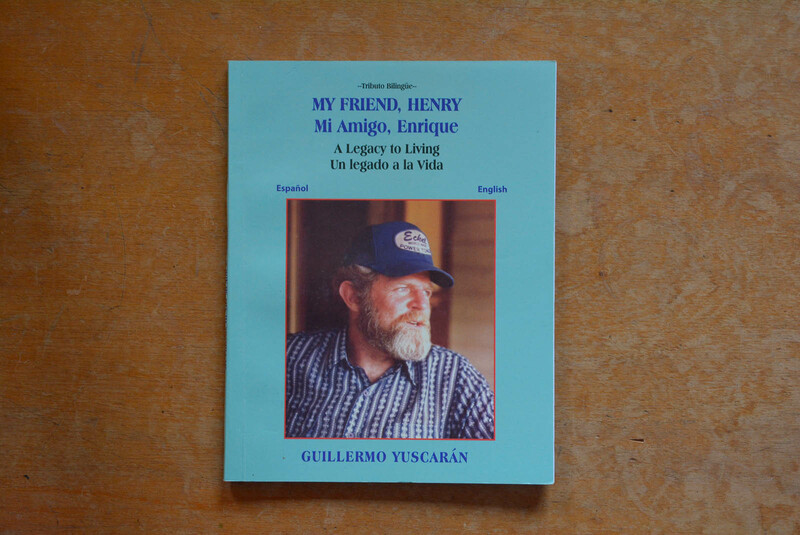 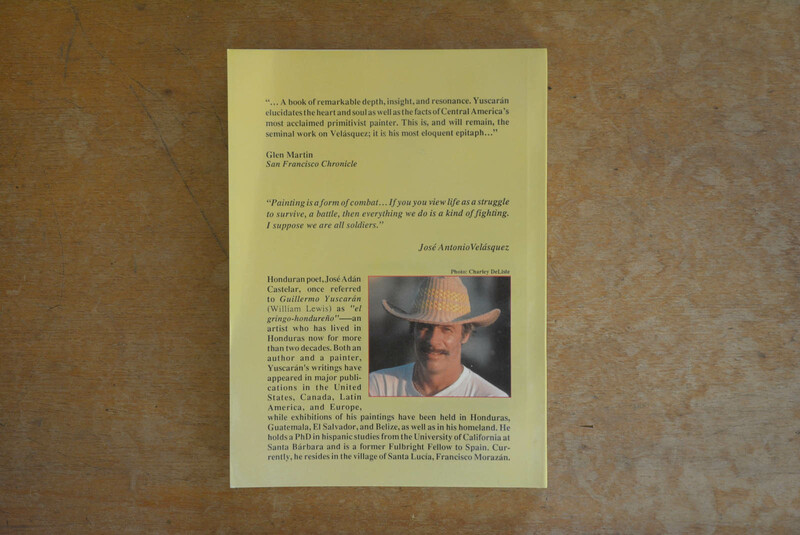 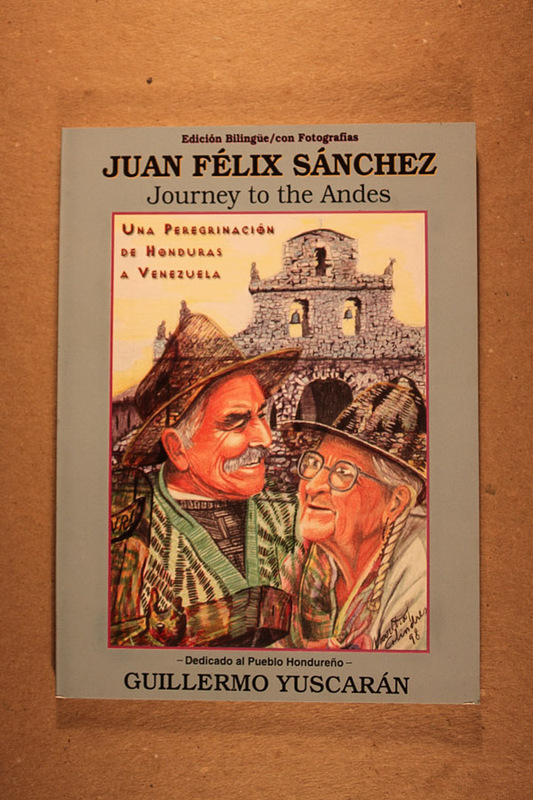 Gringos in Honduras, (The Good, the Bad and the Ugly).biographies in English, 1995, $18.00, plus postage. 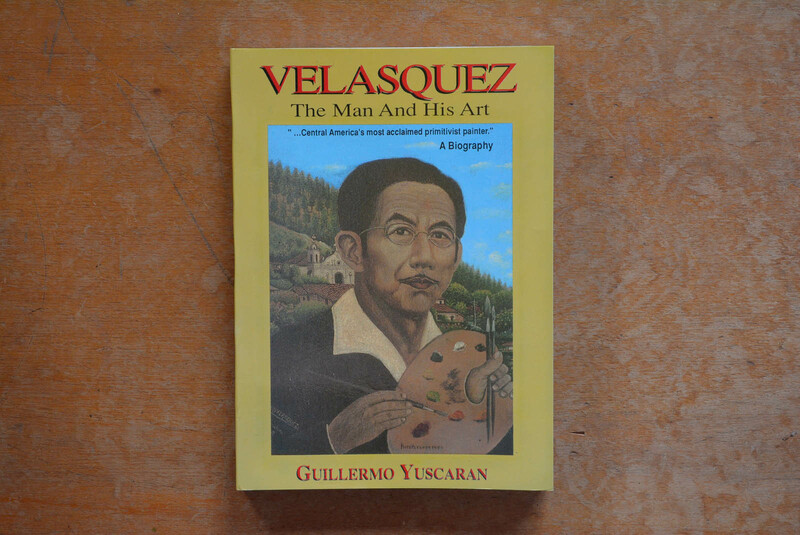 Velasquez, The Man And His Art….biography in English, 1994. 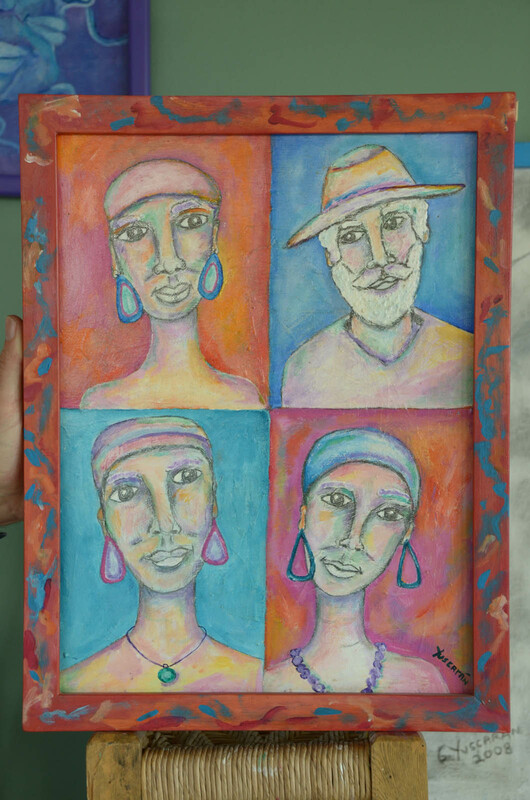 $20.00, plus postage. 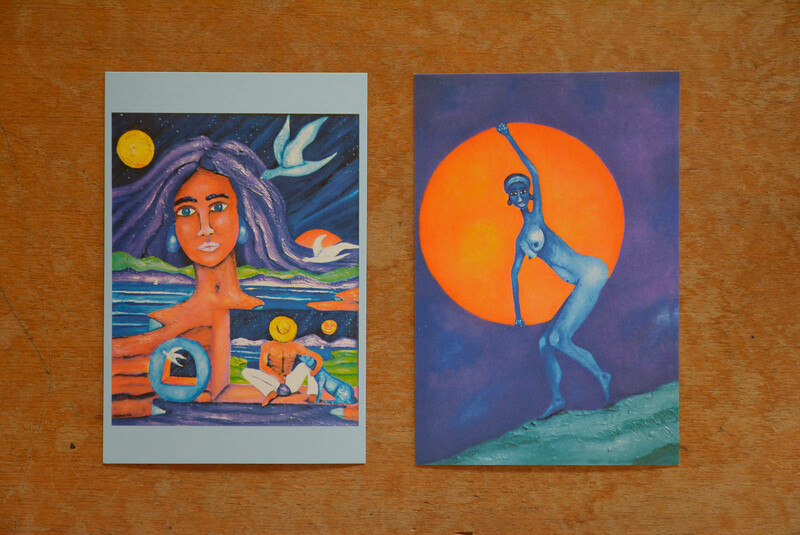 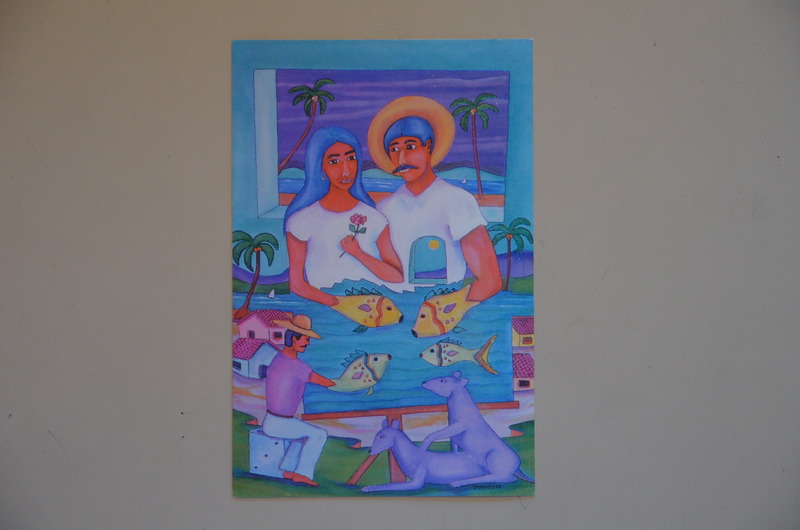 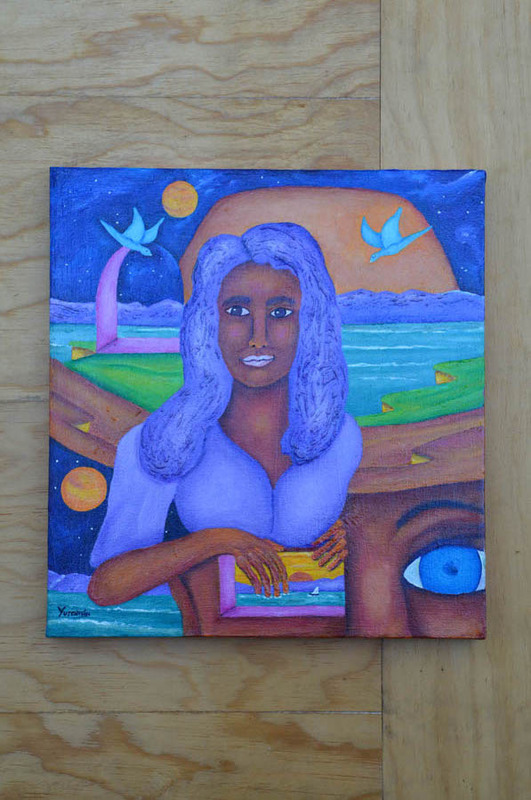 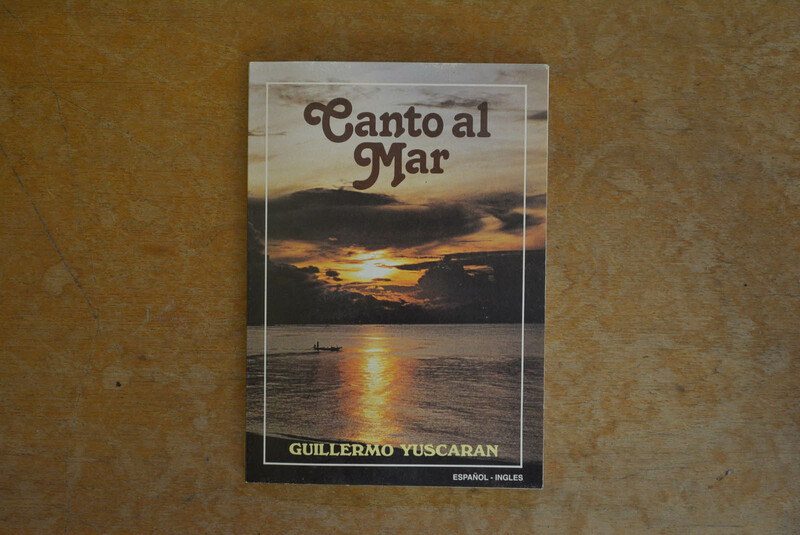 Canto al Mar (Ode to the Sea) bilingual reflections, 1988…price $10:00, plus postage. 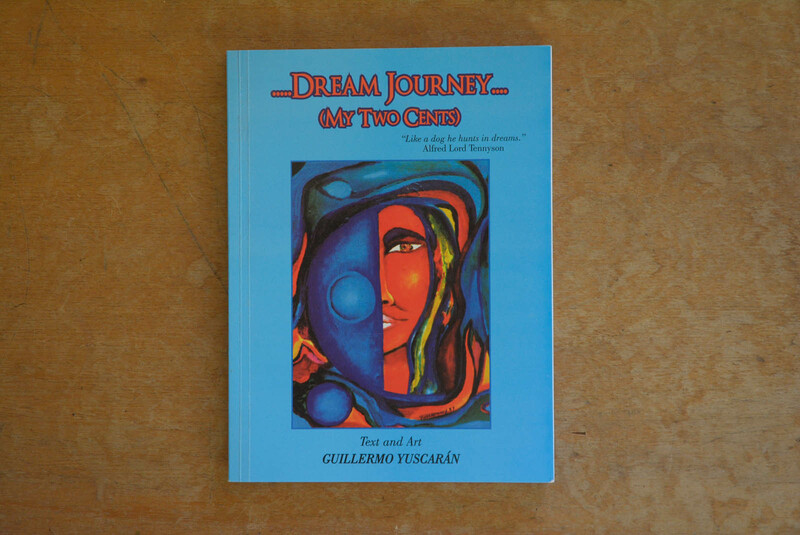 Dream Journey (My Two Cents), a personal dream study in English, 2011, $15.00, plus postage. 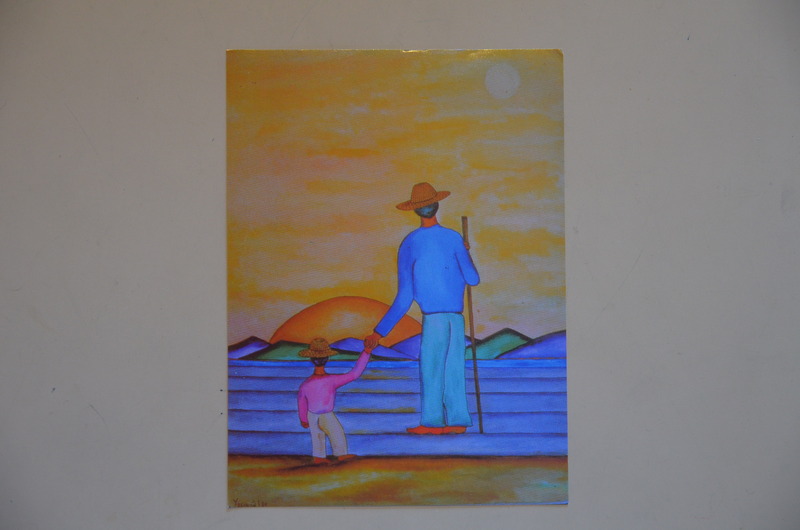 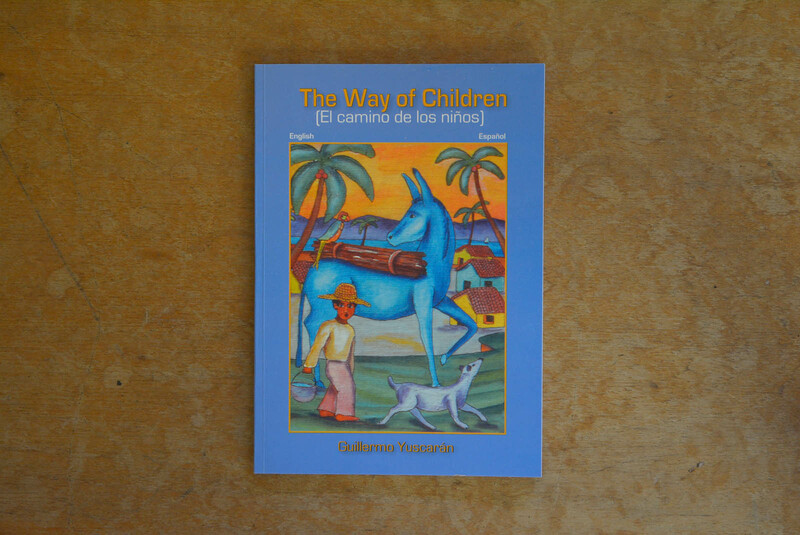 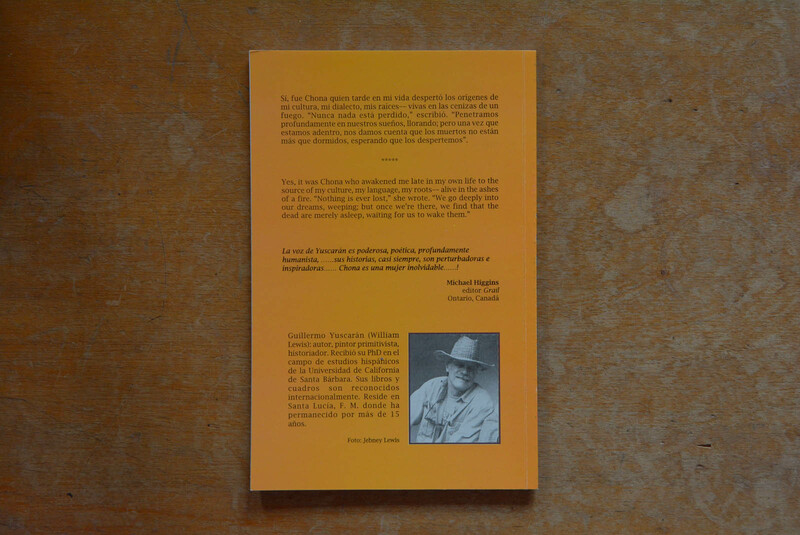 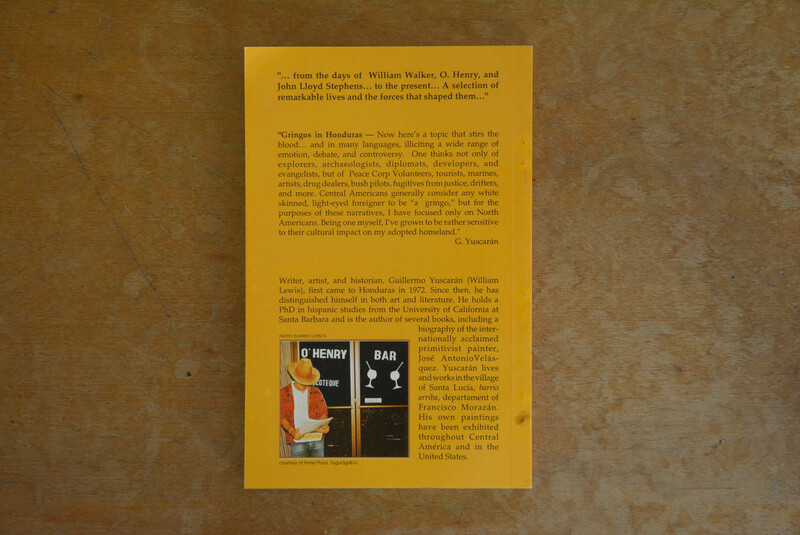 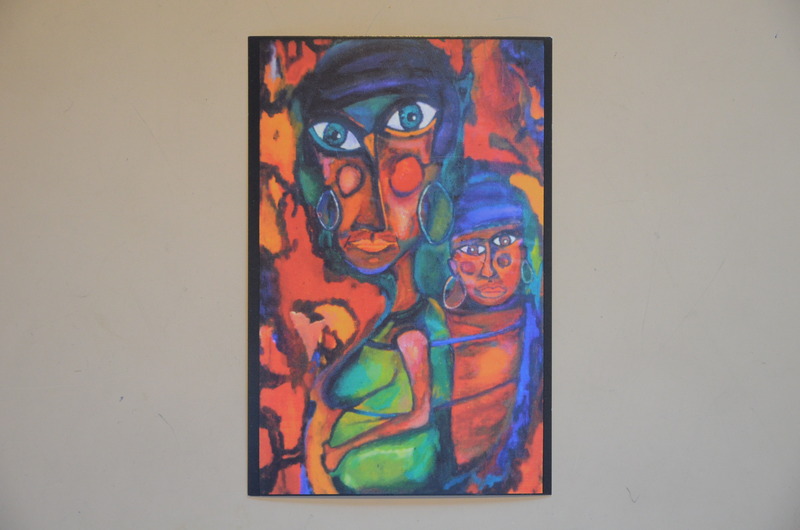 The Way of Children….El Camino de los Niños… illustrated bilingual reflections, 2007, $10.50 plus postage. 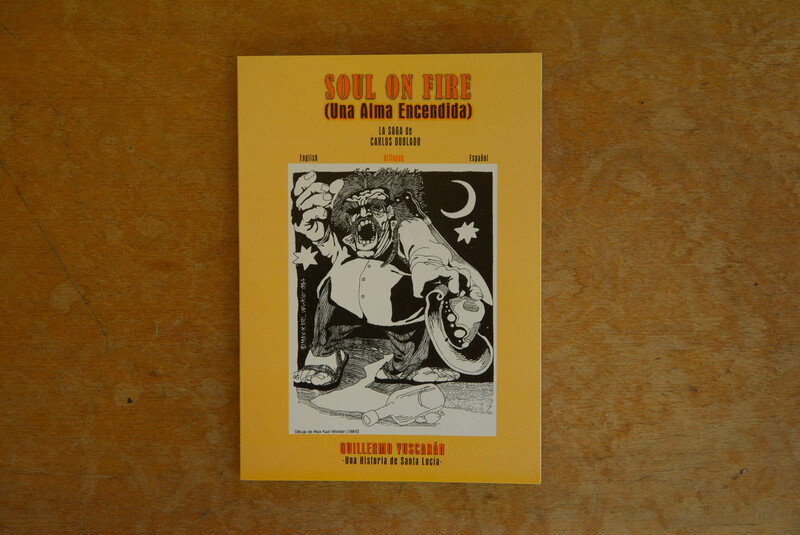 Soul on Fire (Una Alma Encendida)…bilingual fictional tribute, 2007. 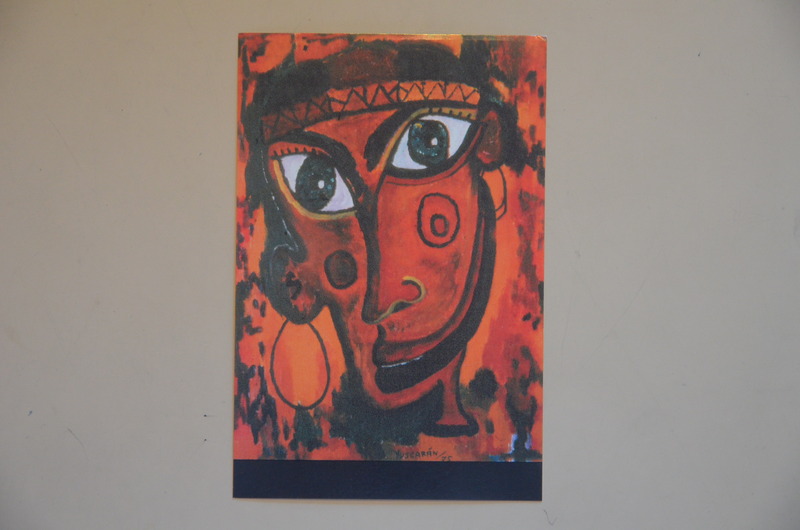 $12.00, plus postage. 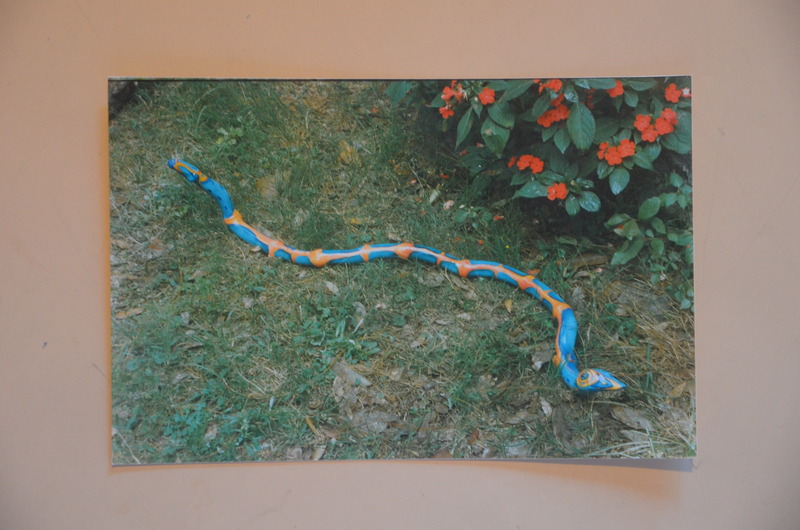 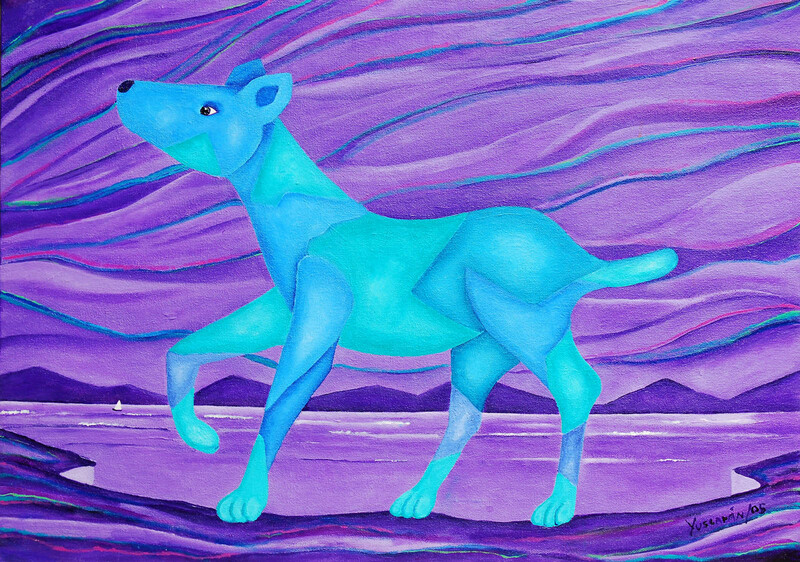 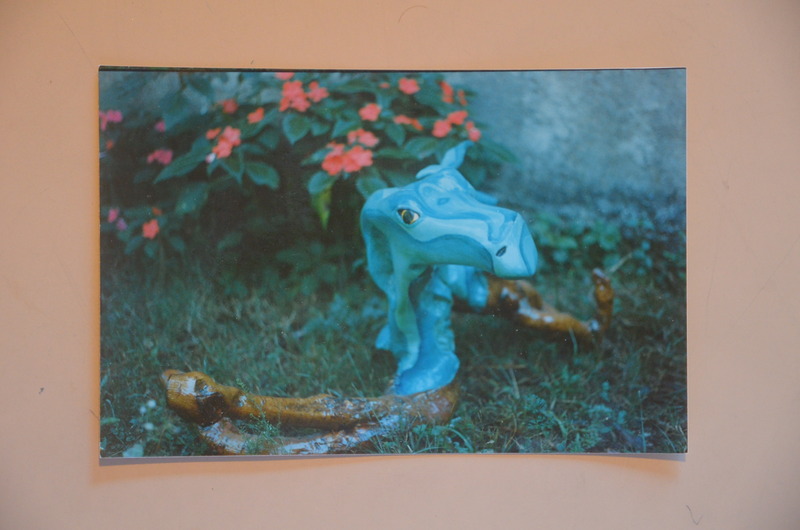 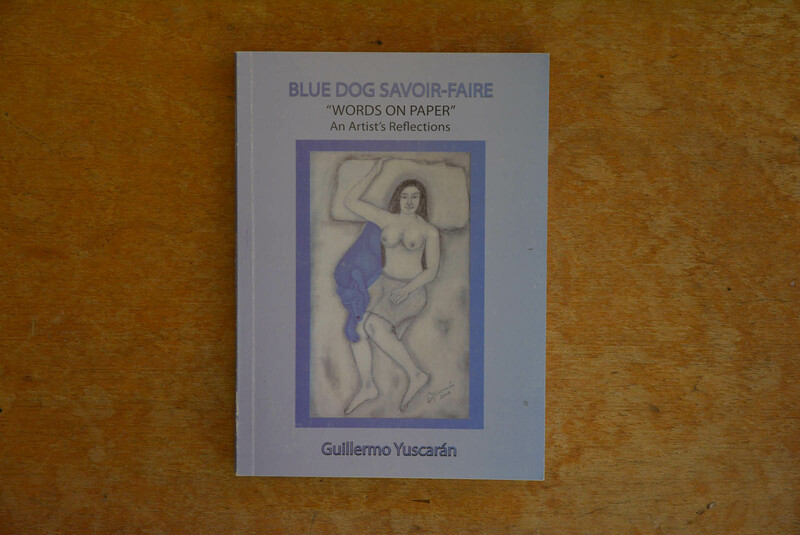 Blue Dog, Savoir-Faire..poetry in English, 2009 $ 11.00, plus postage. 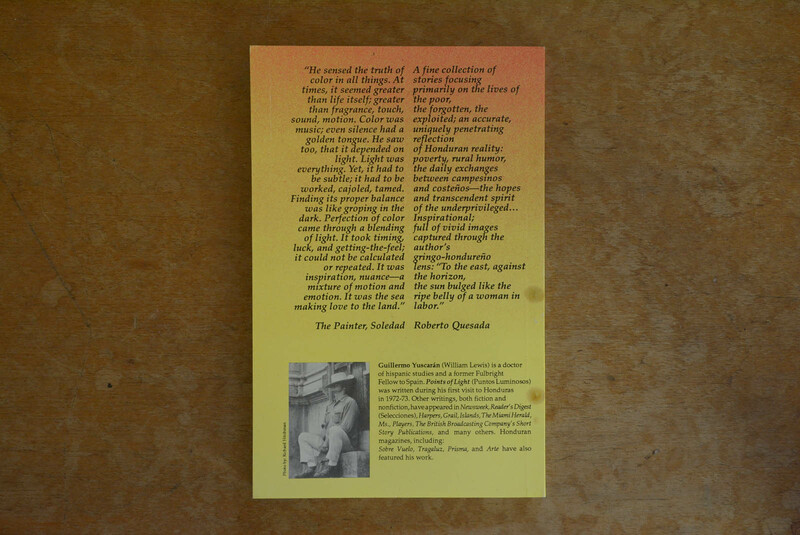 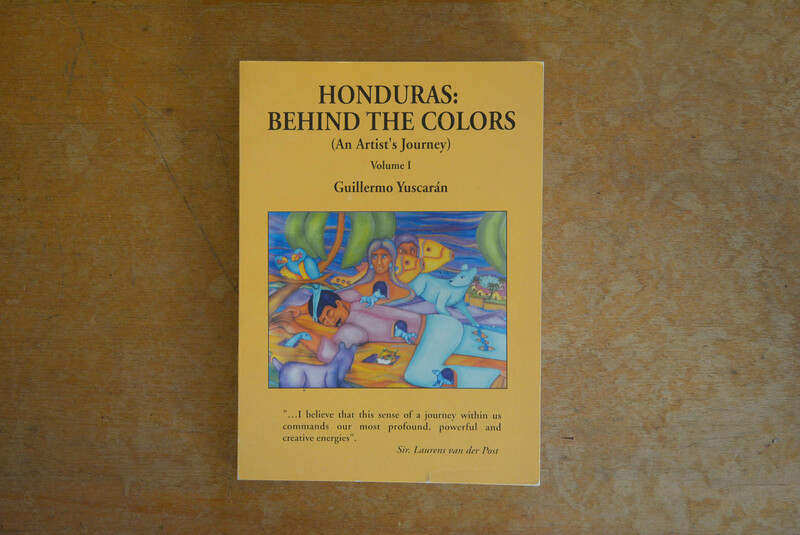 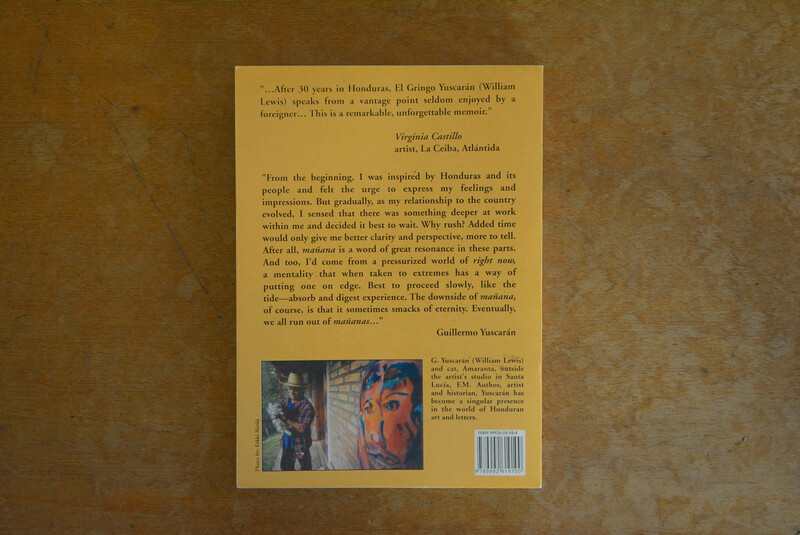 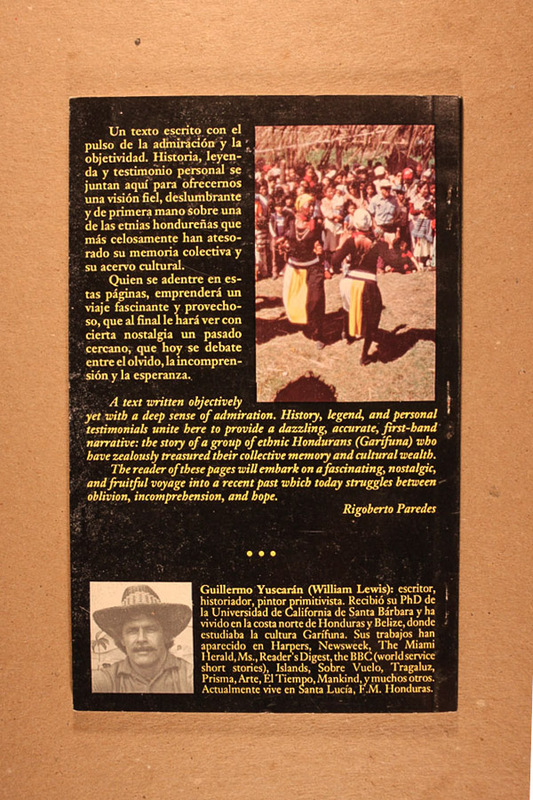 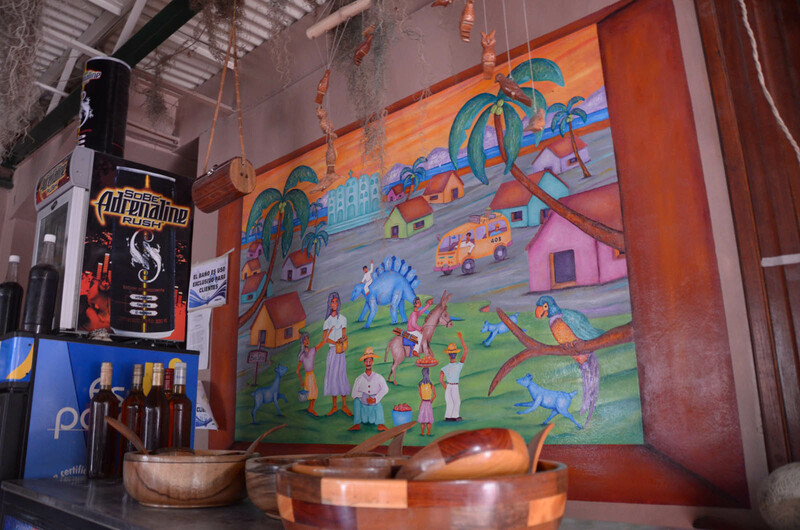 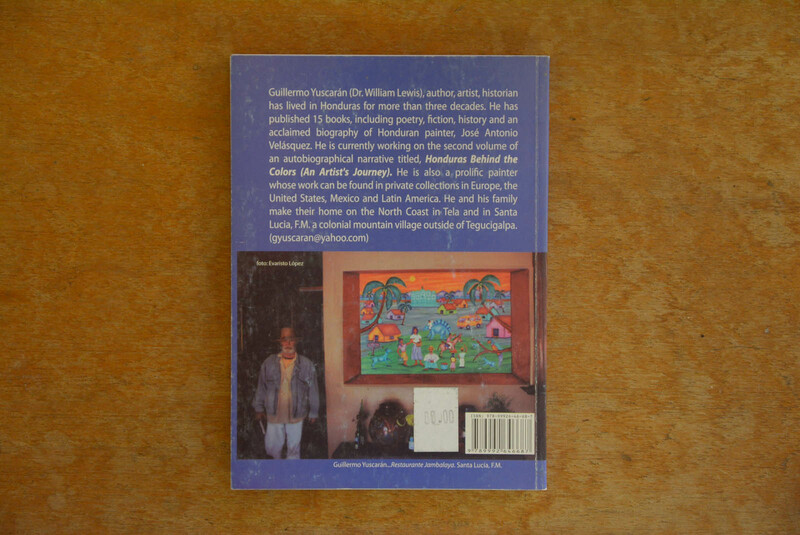 Honduras Behind the Colors (vol 1) autobiographical narrative, 2002. 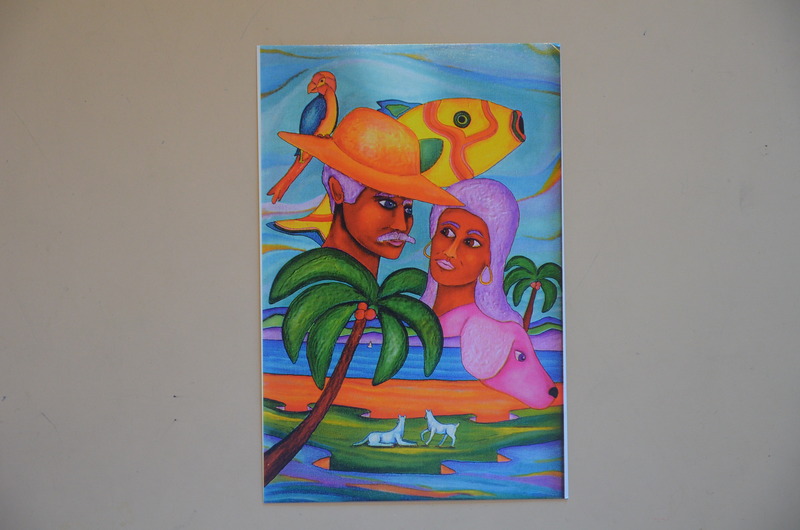 $20.00, plus postage. 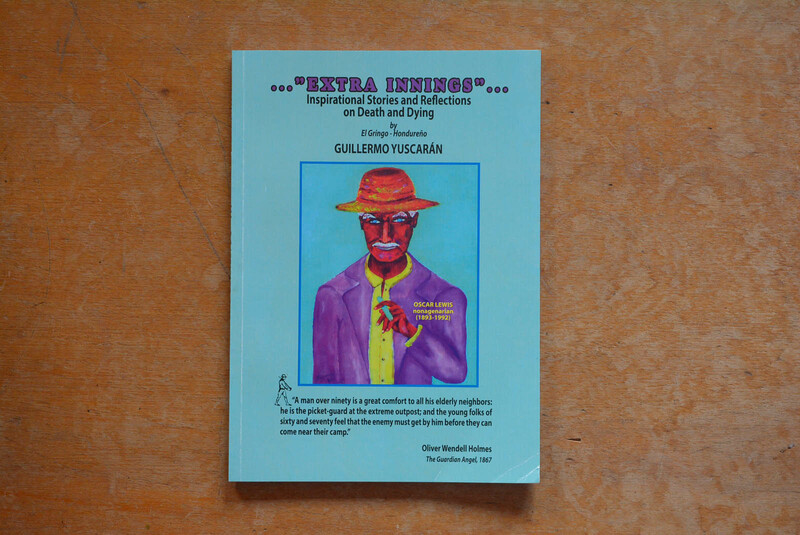 Extra Innings (Inspirational Stories on Death and Dying). 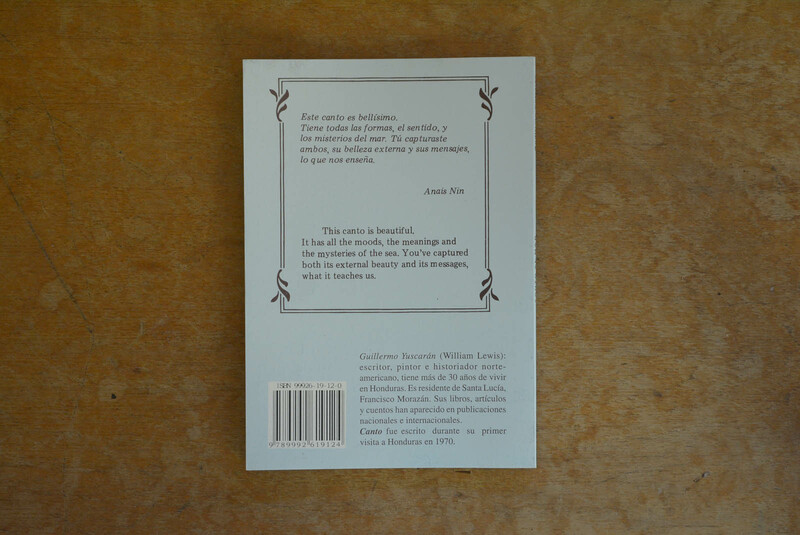 in English, 2014, $18.00, plus postage. 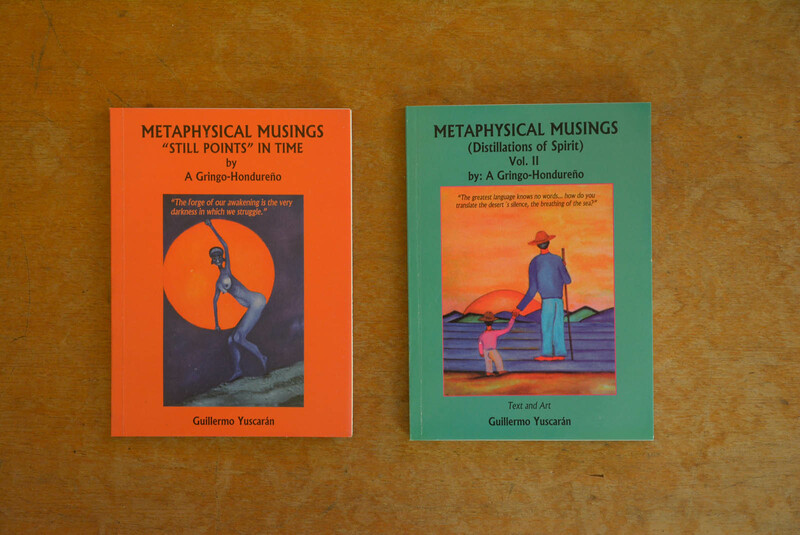 Metaphysical Musings, Vol. 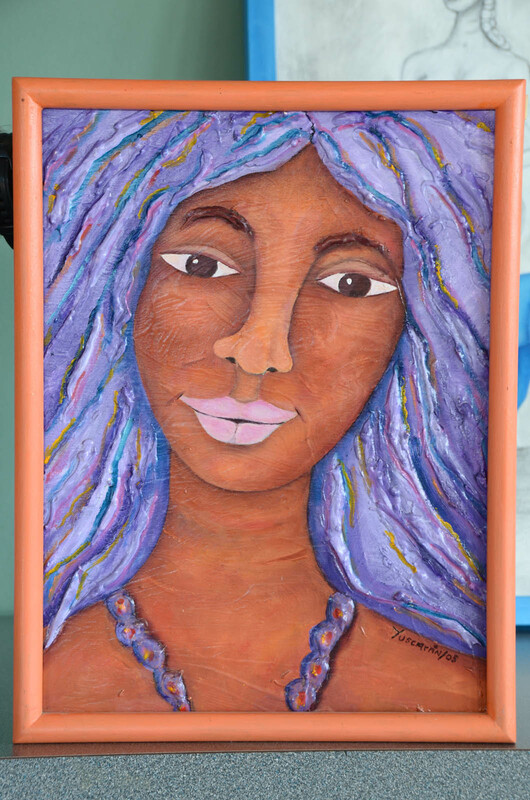 I $ 10.00, plus postage. 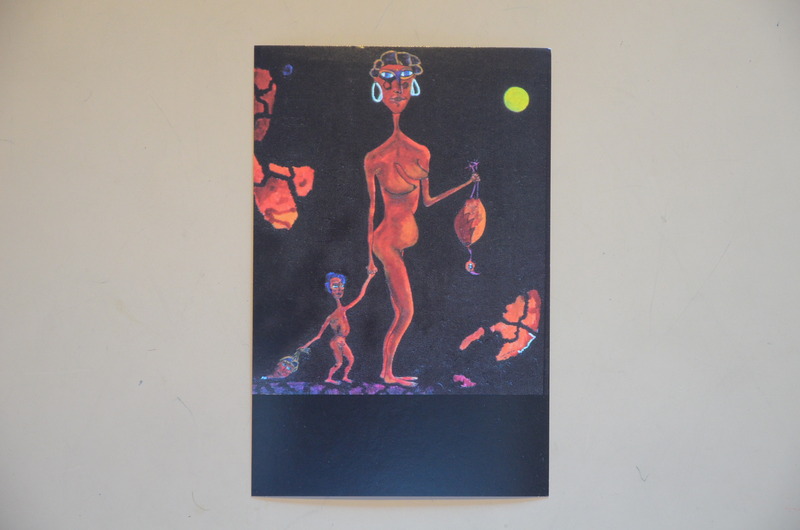 and II $ 10.00, plus postage. 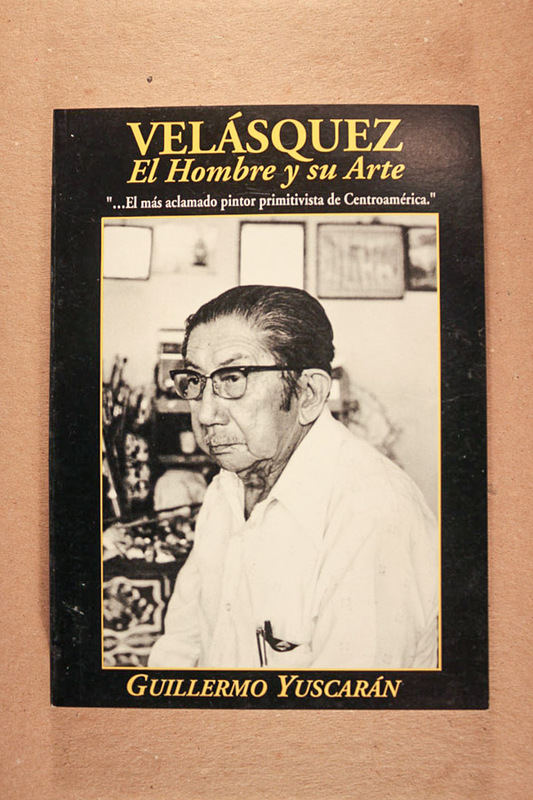 Velásquez, El Hombre y su Arte..biography in Spanish, 2003, $20.00, plus postage. 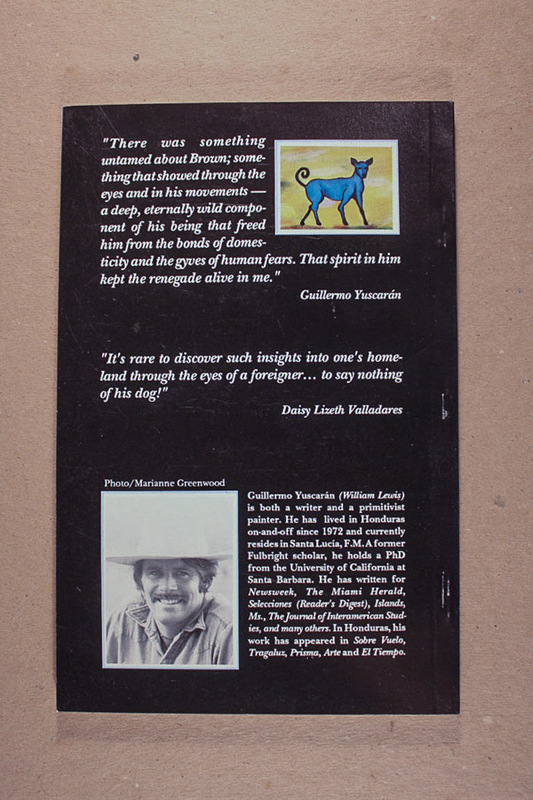 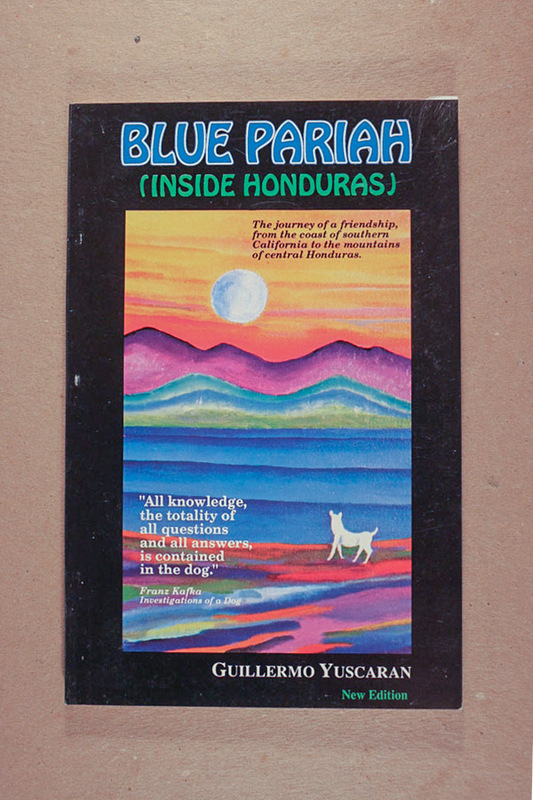 Blue Pariah…dog biography in English, 1989. 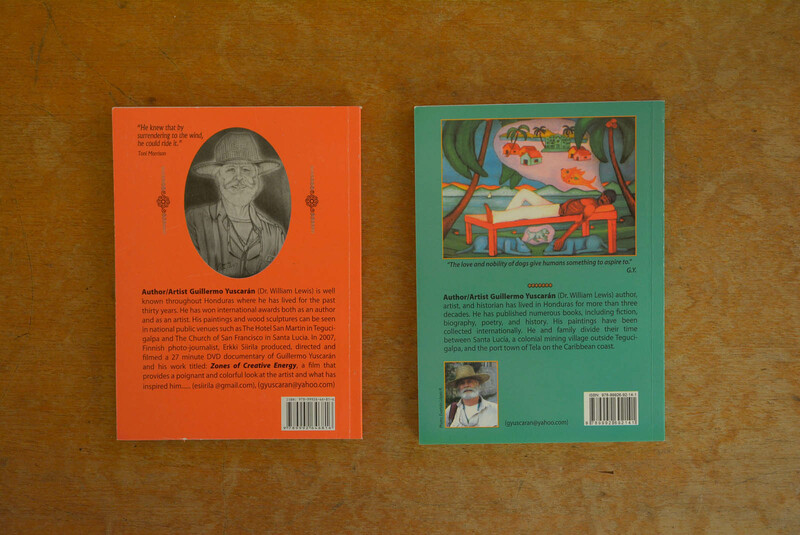 ..price $15.00, plus postage. 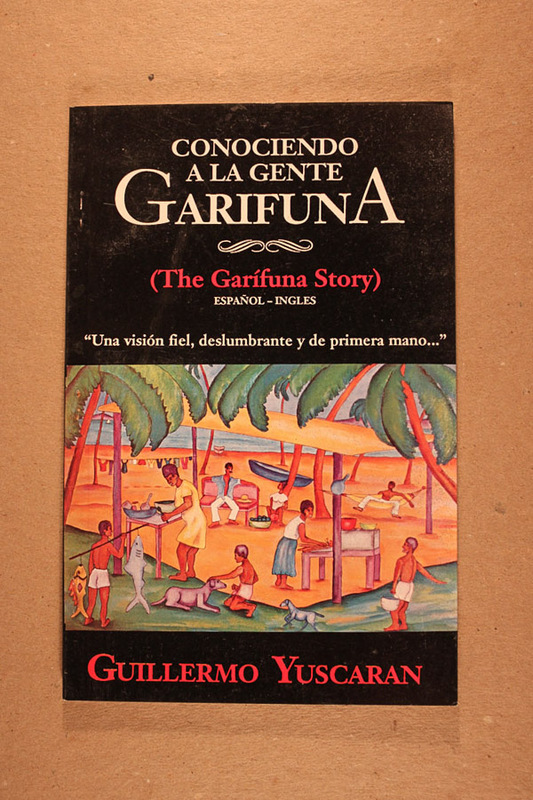 Conociendo a la Gente Garifuna (The Garifuna Story)…bilingual nonfiction, 1990, $12.00 plus postage. 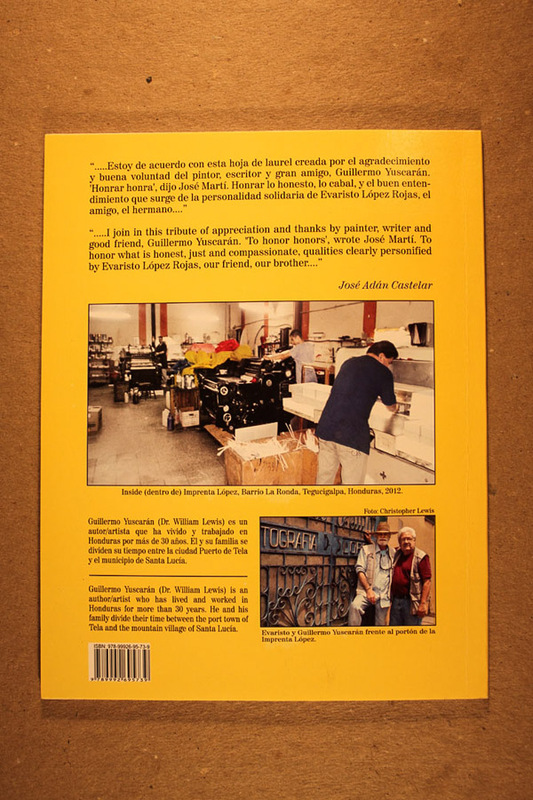 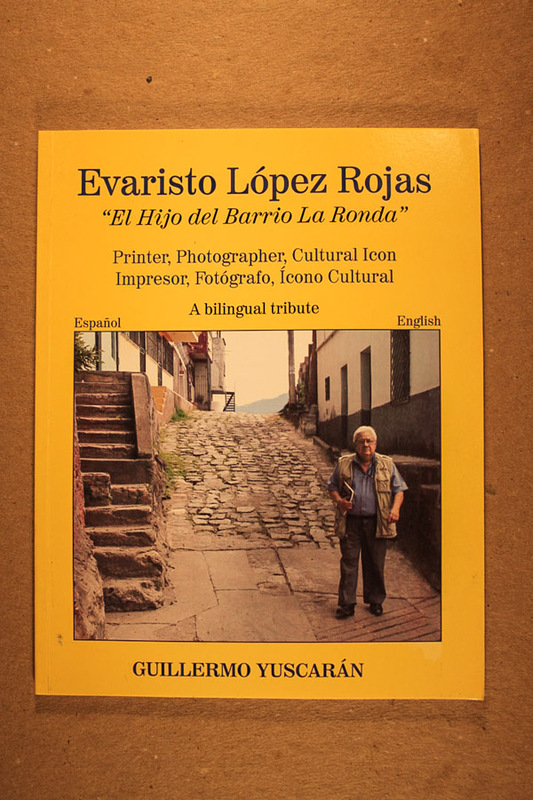 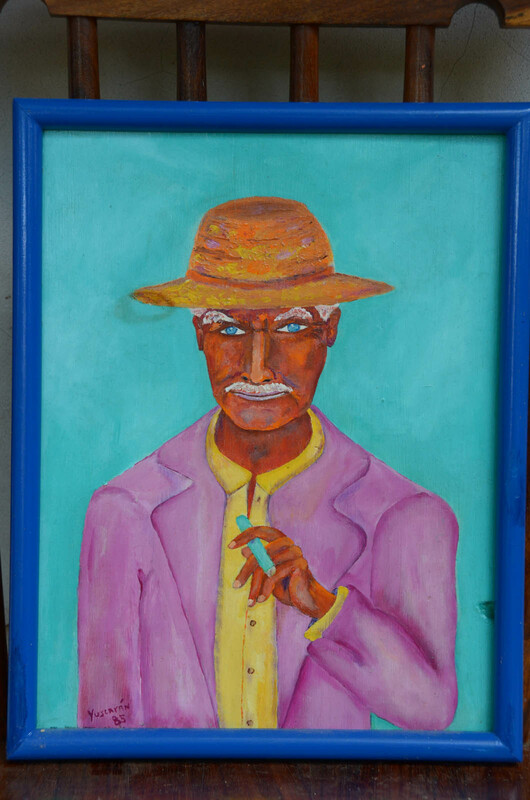 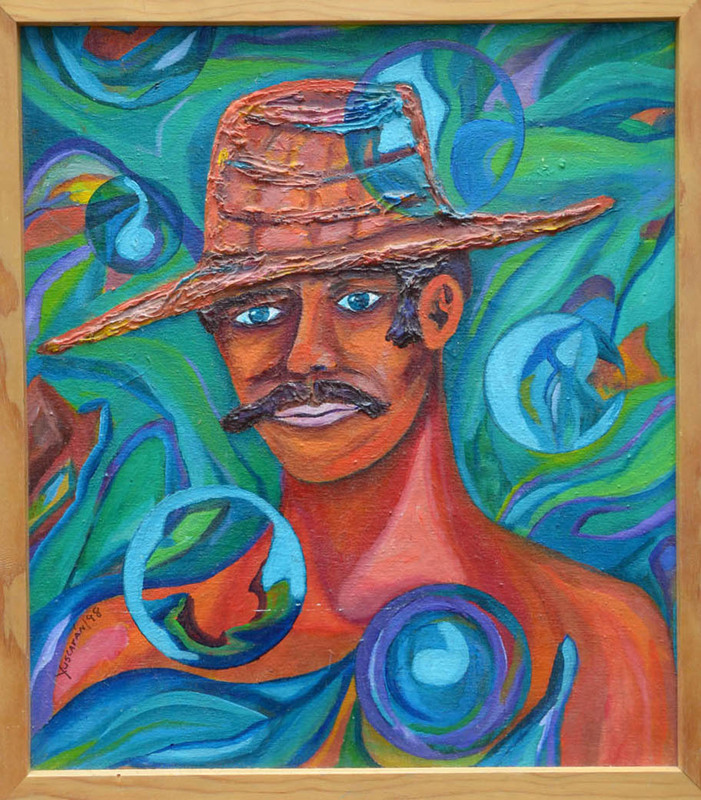 Evaristo López Rojas, (El Hijo del Barrio La Ronda)..bilingual tribute, $12,00, plus postage. 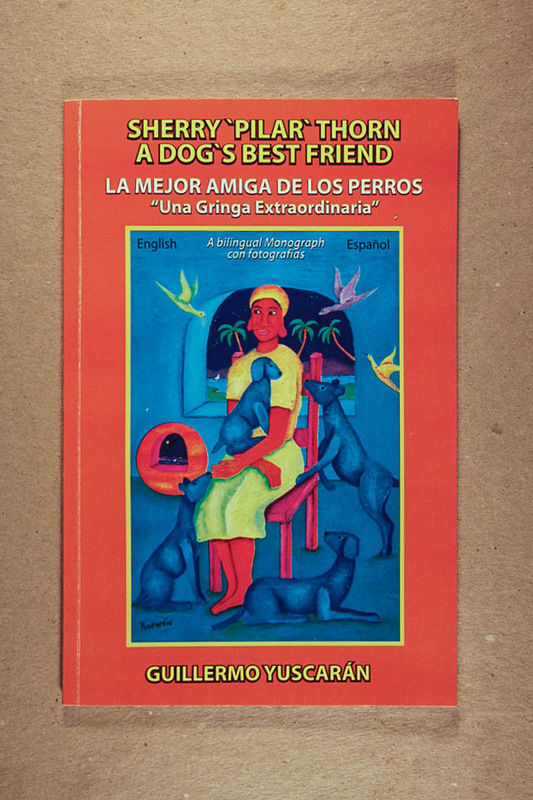 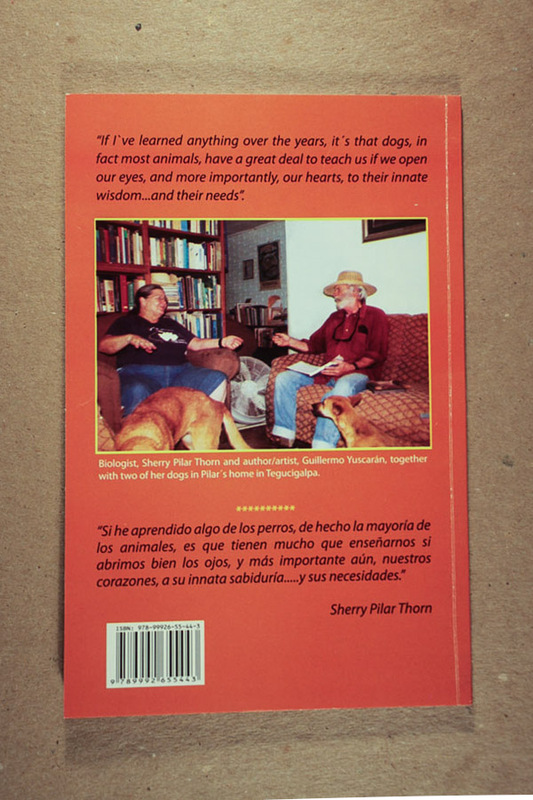 Sherry “Pilar” Thorn (A Dog’s Best Friend)..bilingual tribute, $11.50, plus postage.